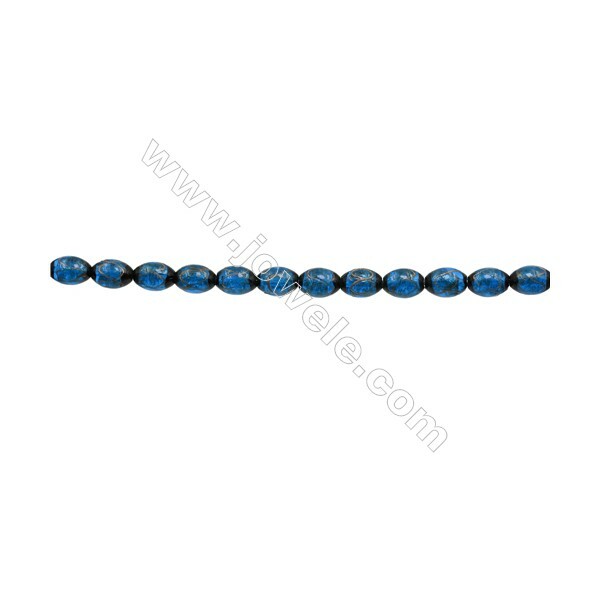 Jowele Lampwork Beads are melted through the torch, creating amazingly intricate designs using tools and hand movements. 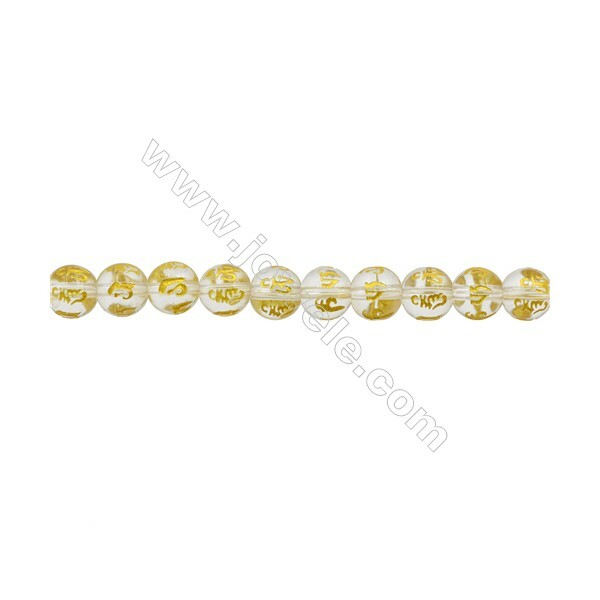 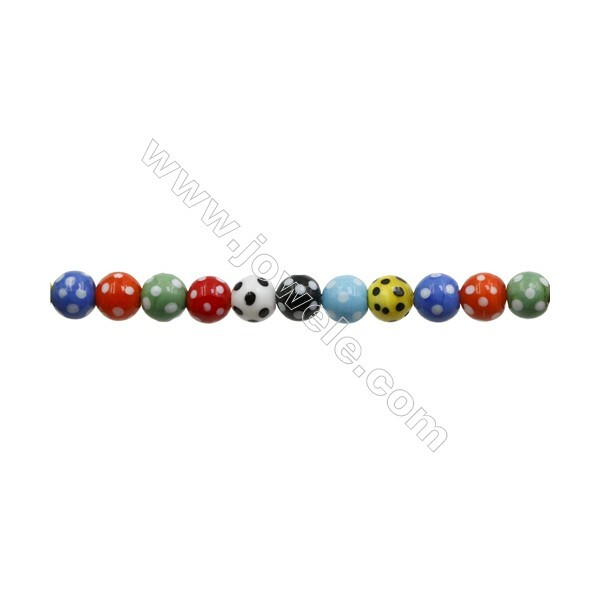 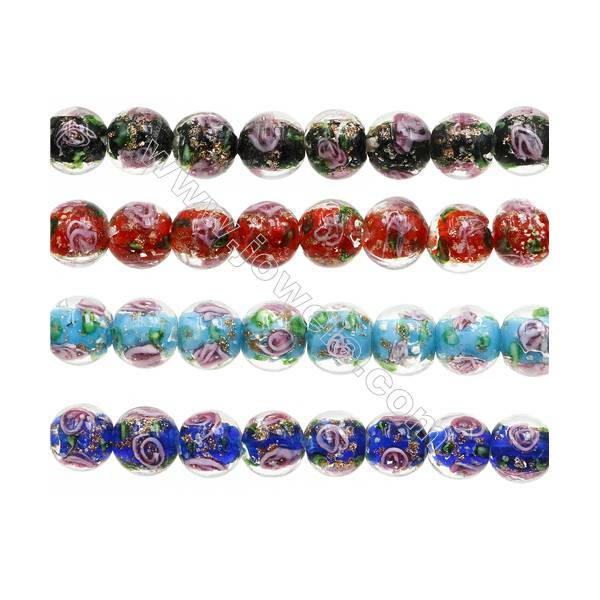 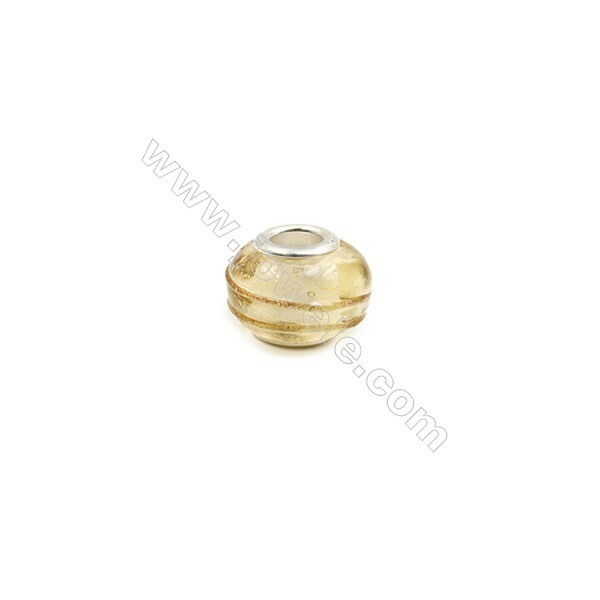 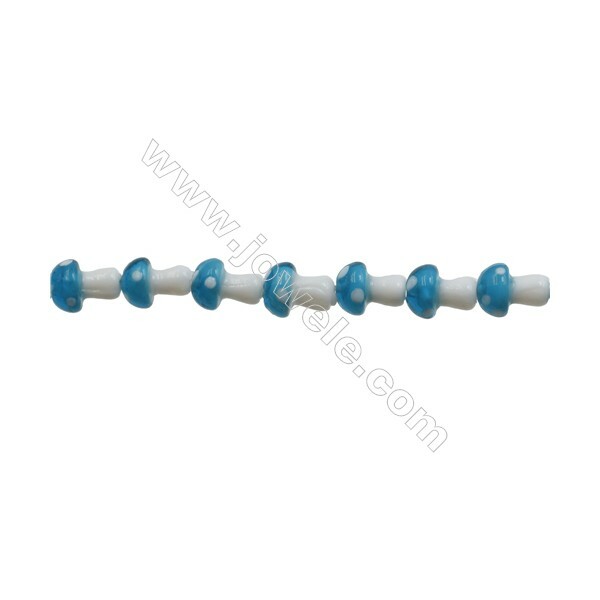 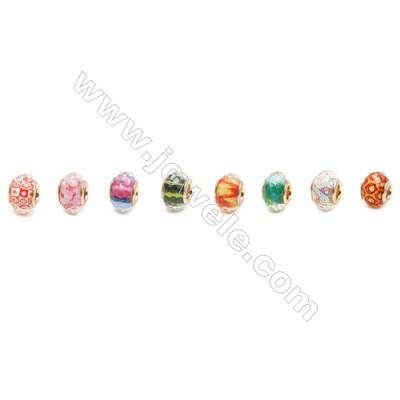 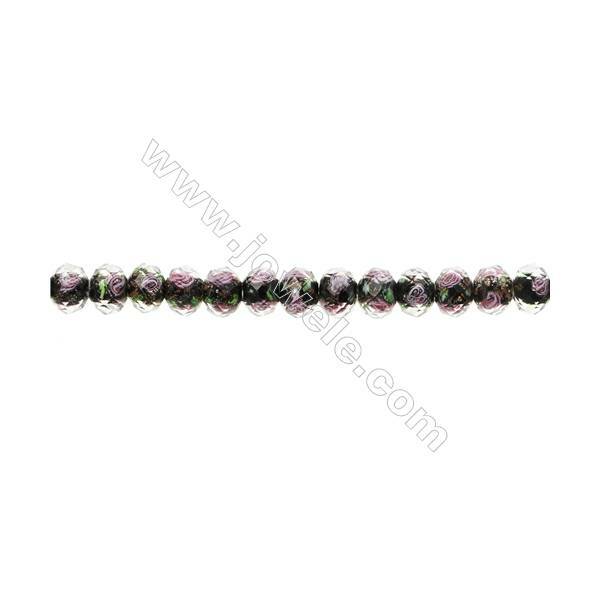 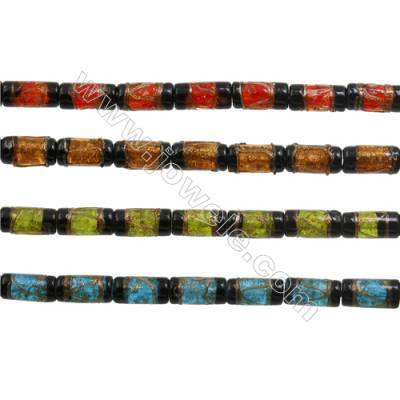 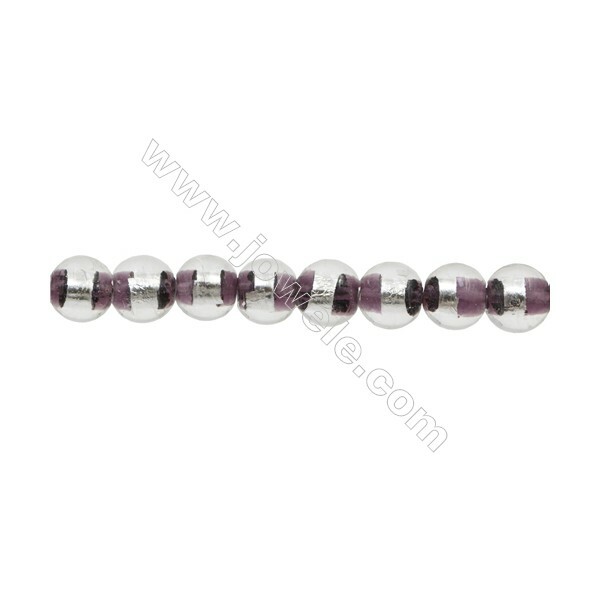 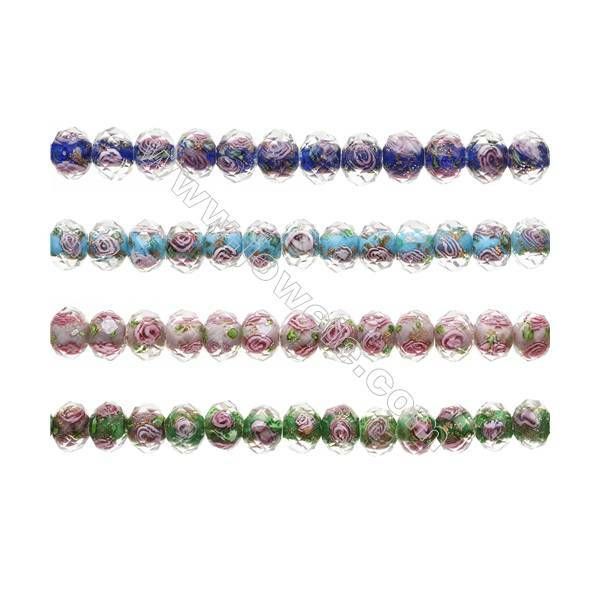 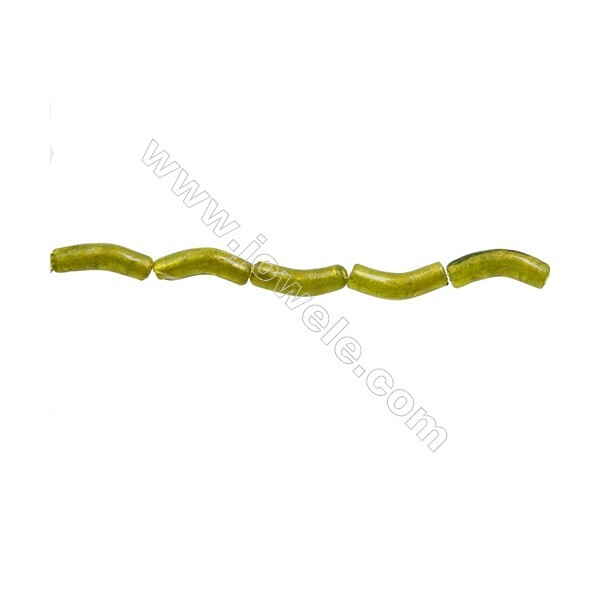 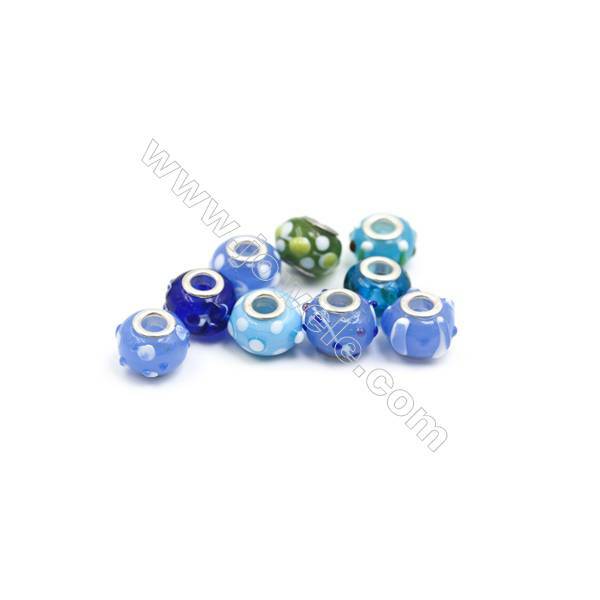 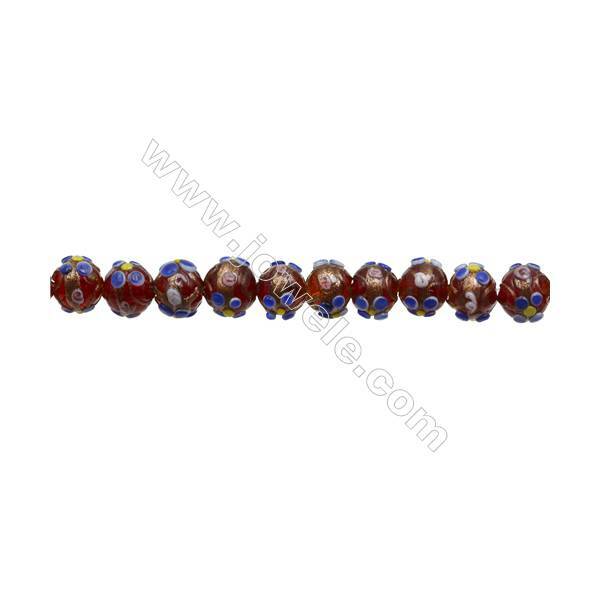 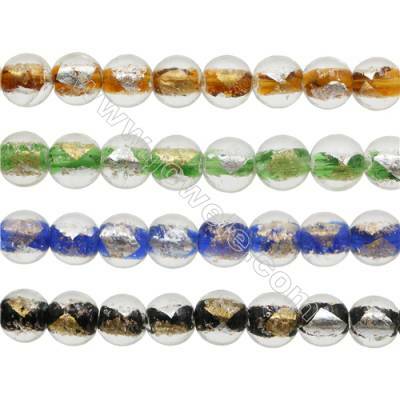 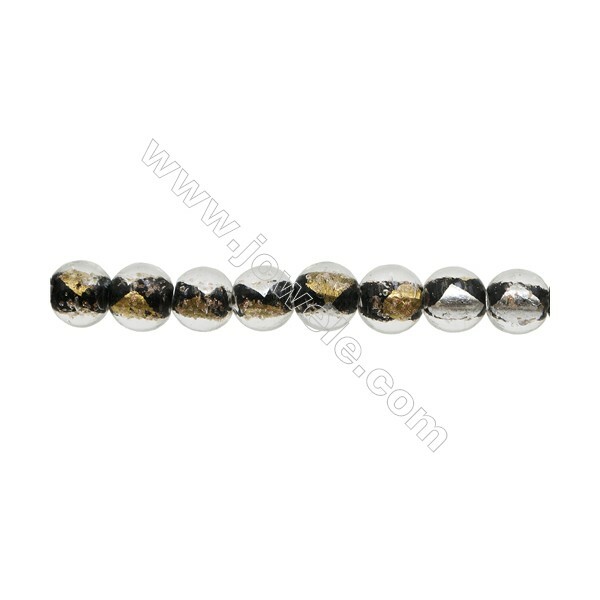 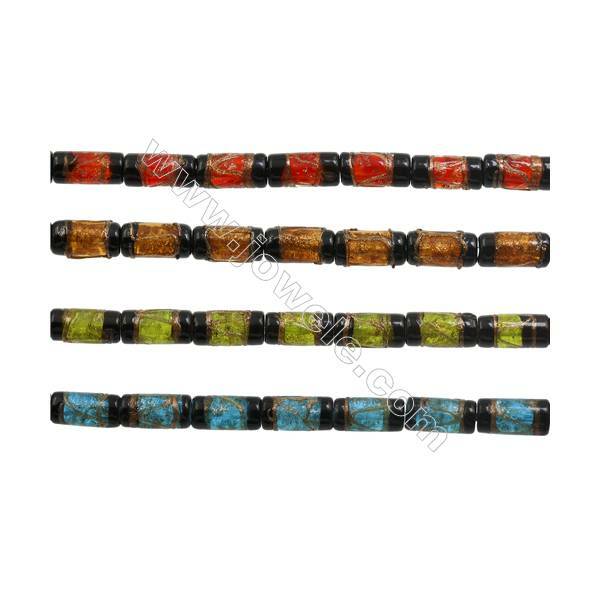 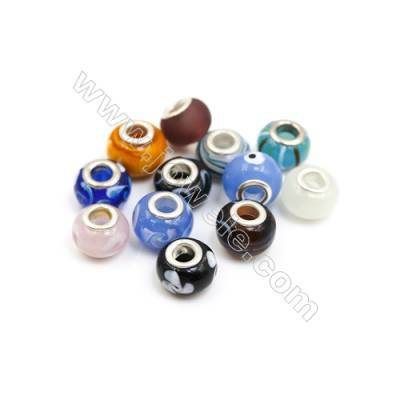 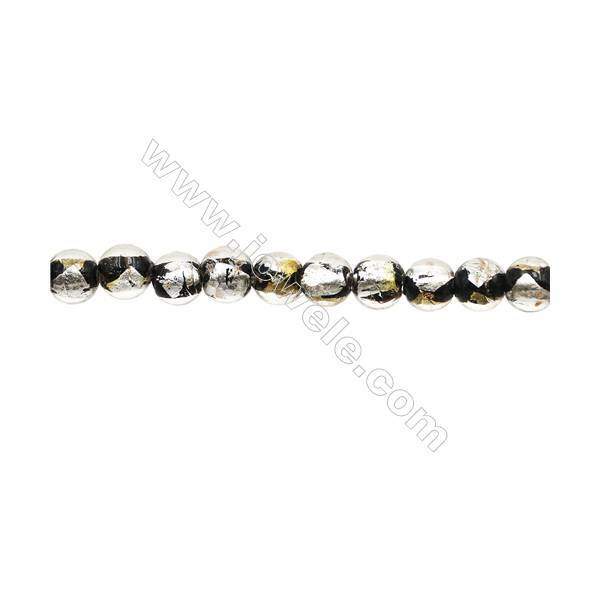 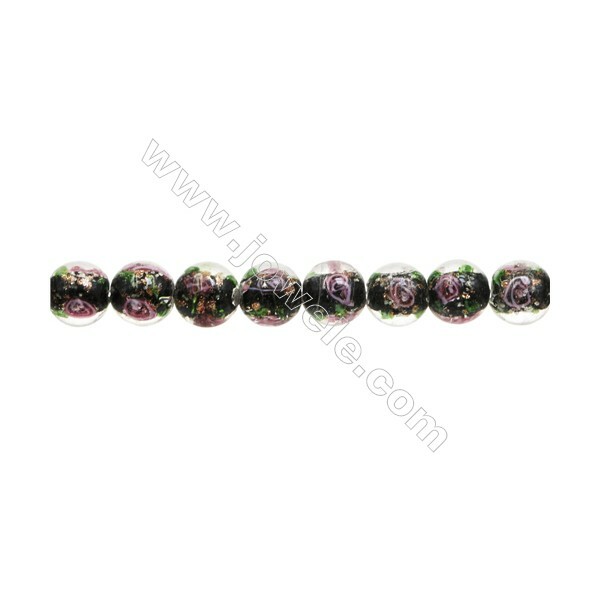 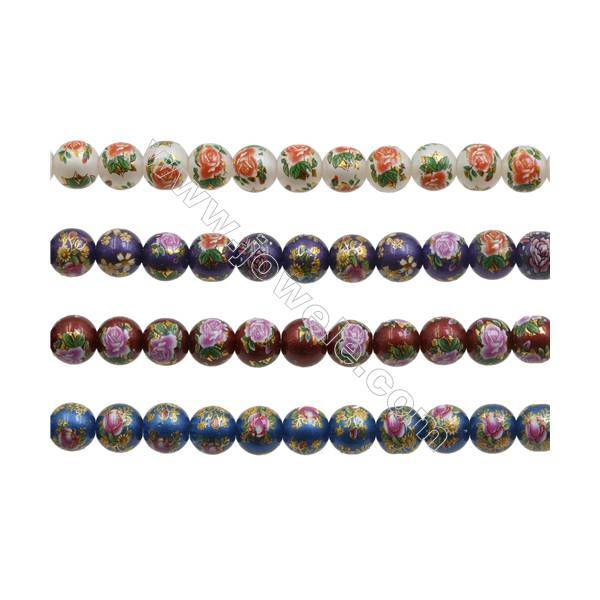 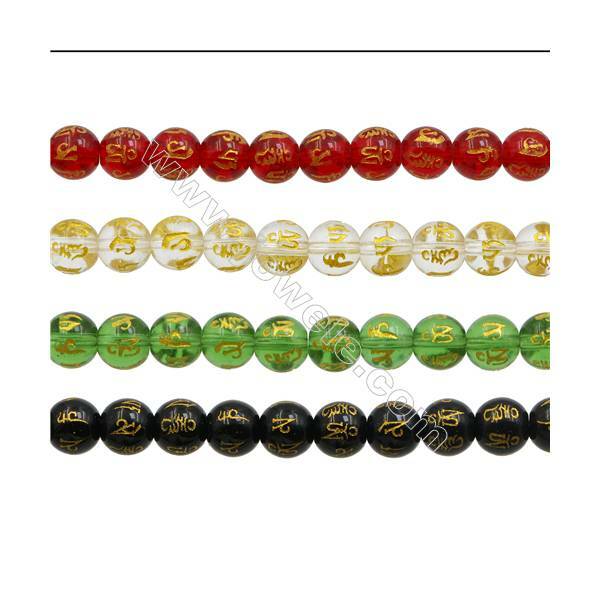 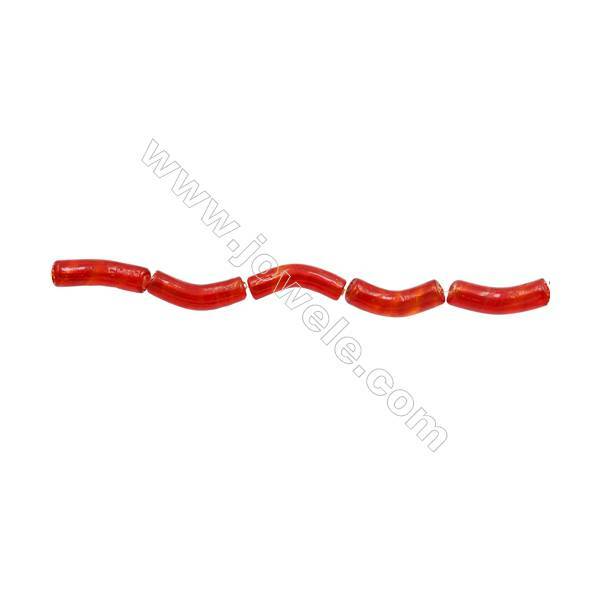 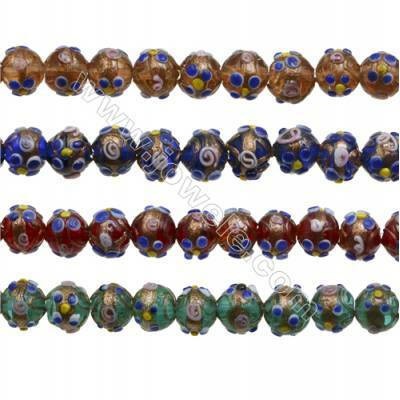 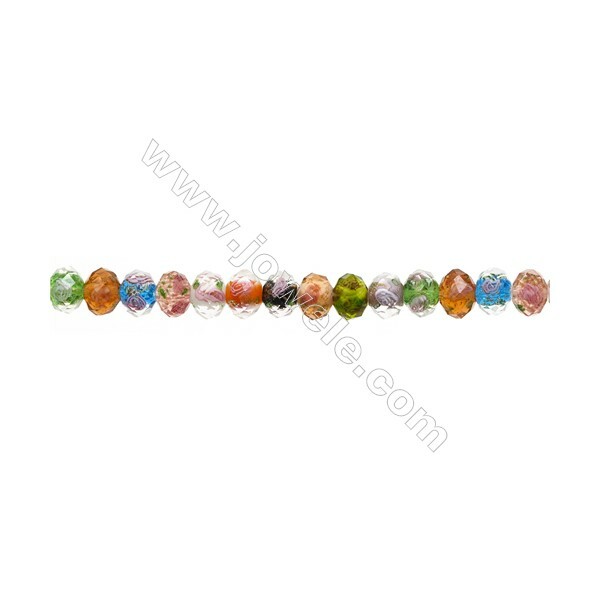 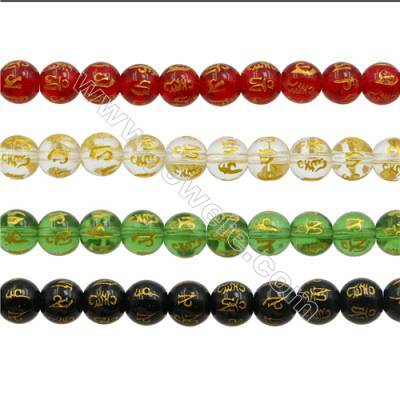 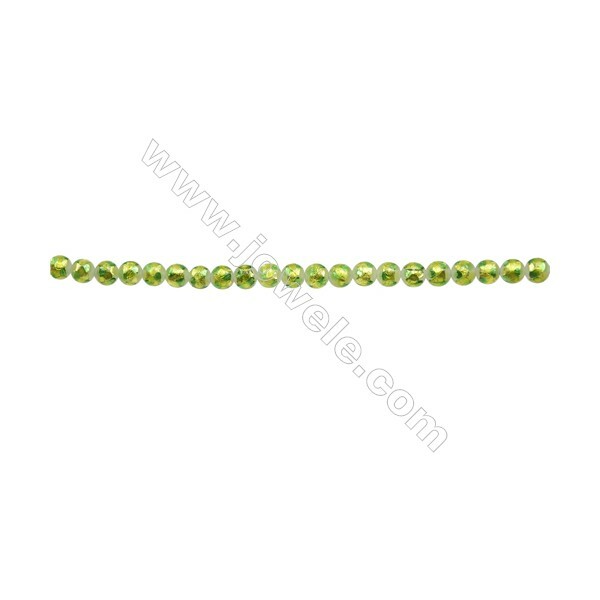 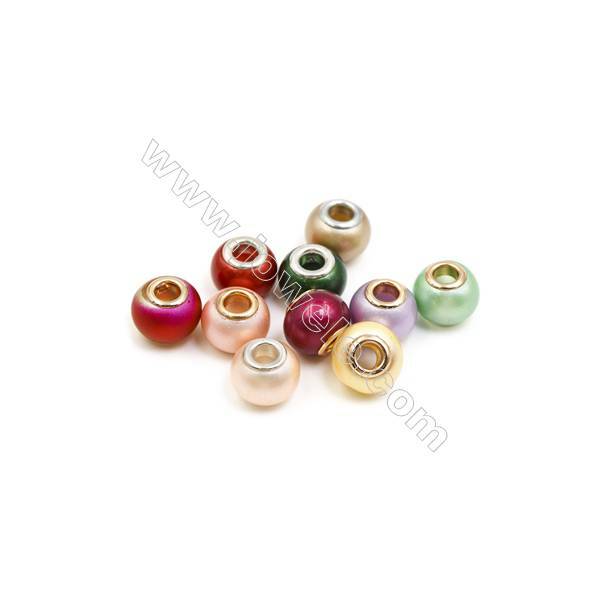 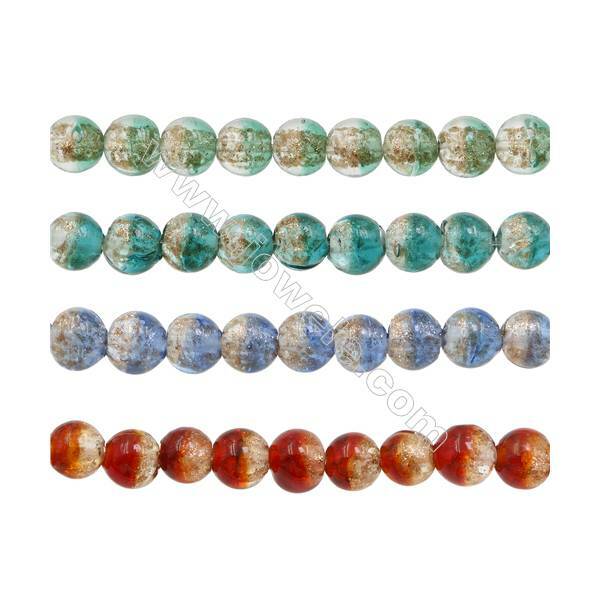 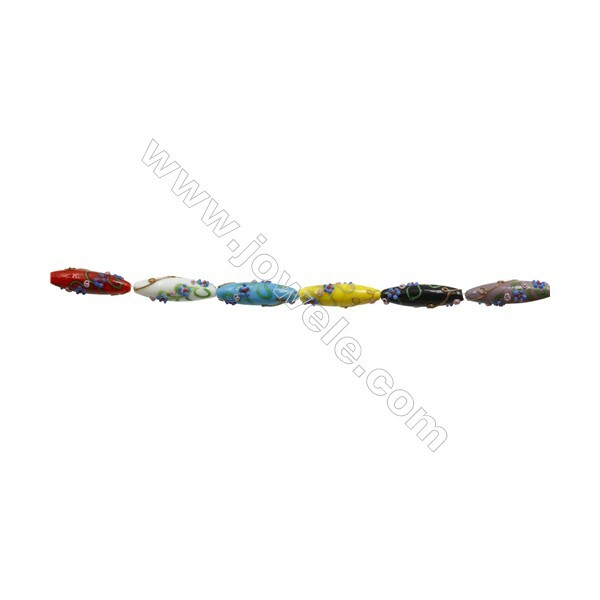 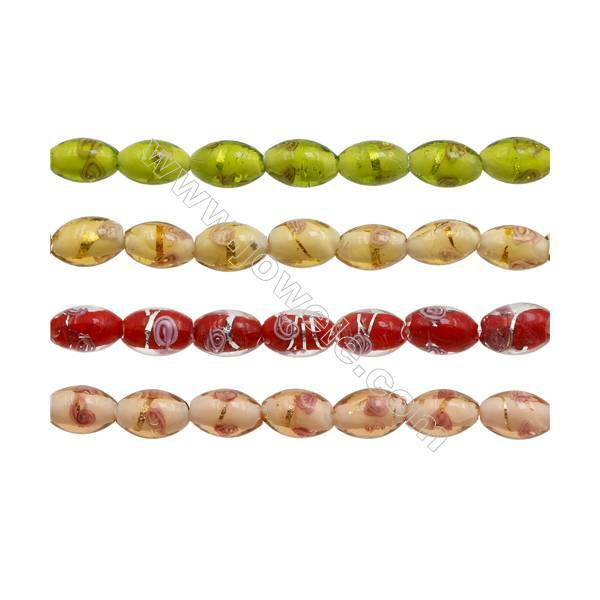 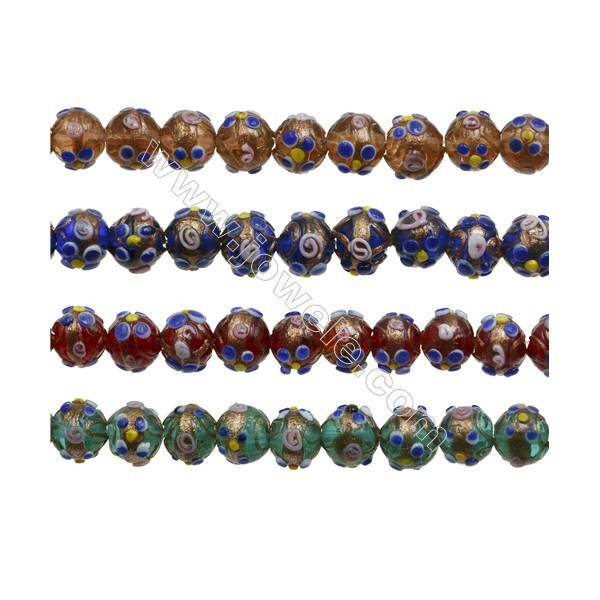 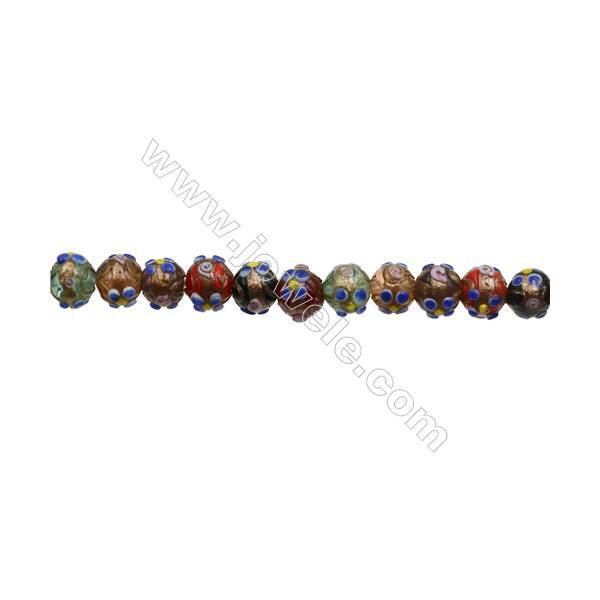 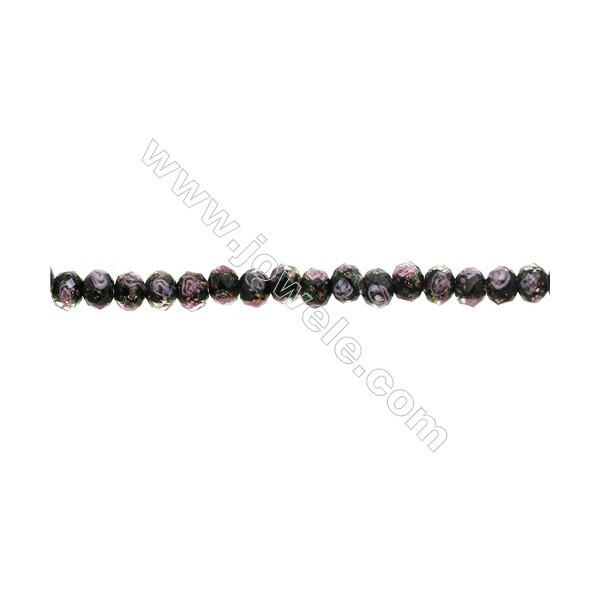 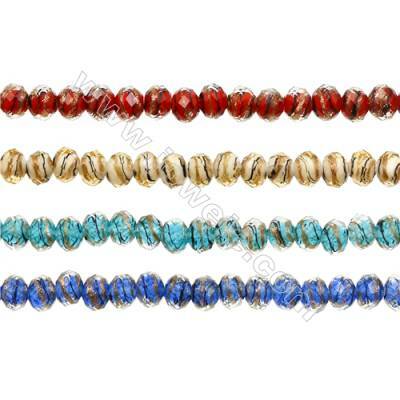 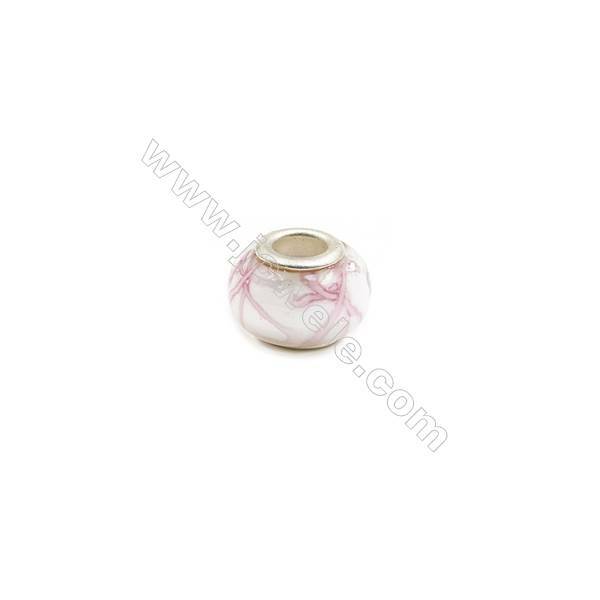 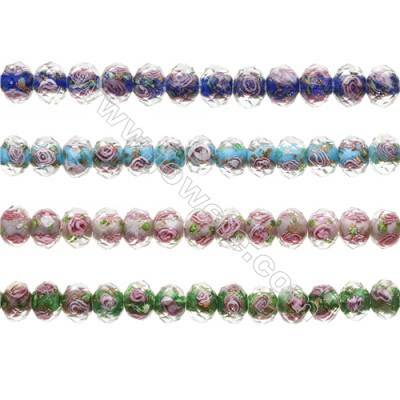 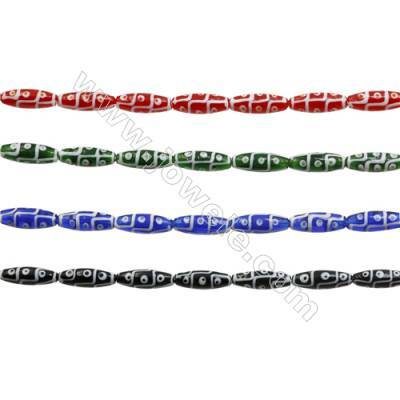 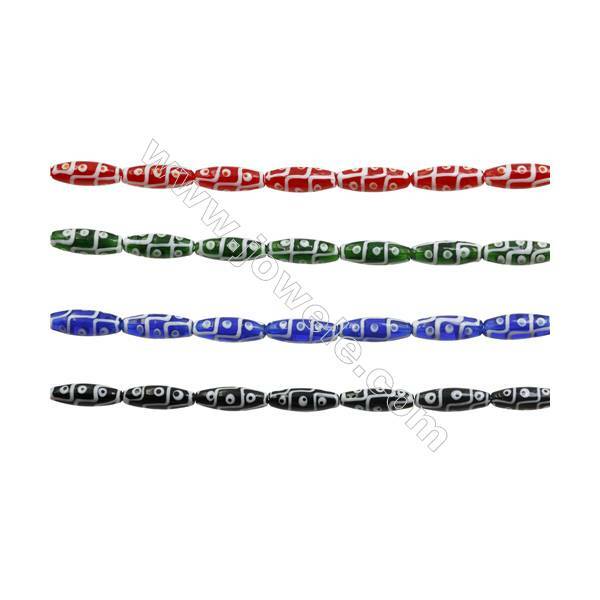 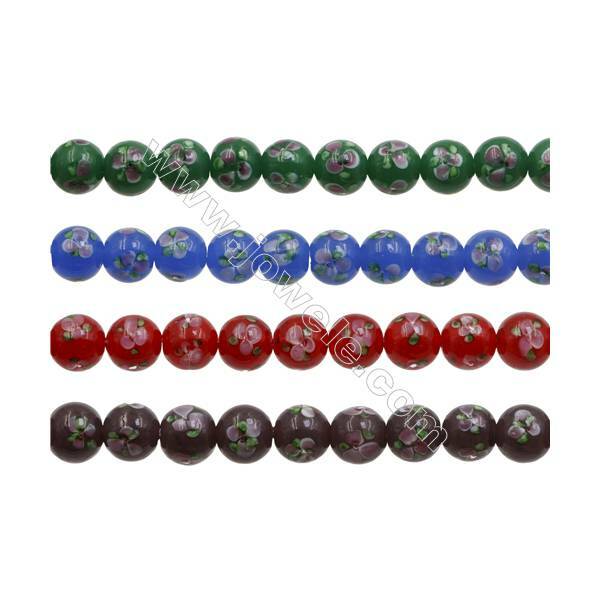 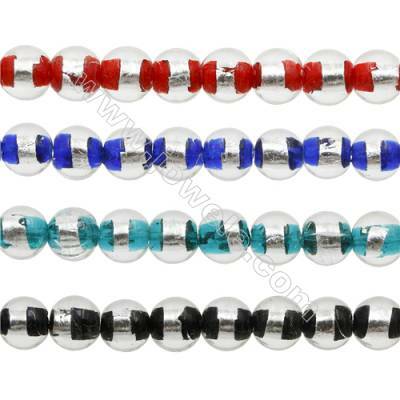 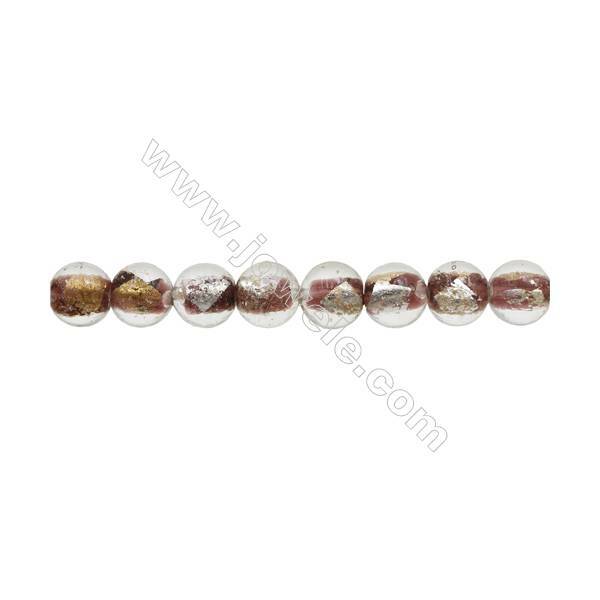 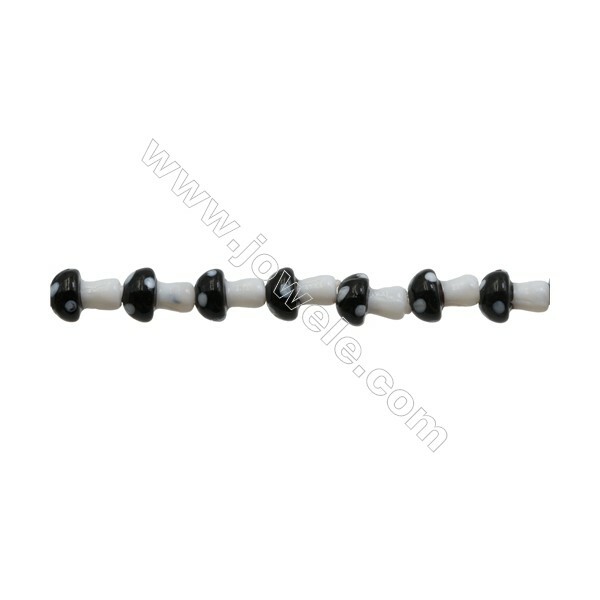 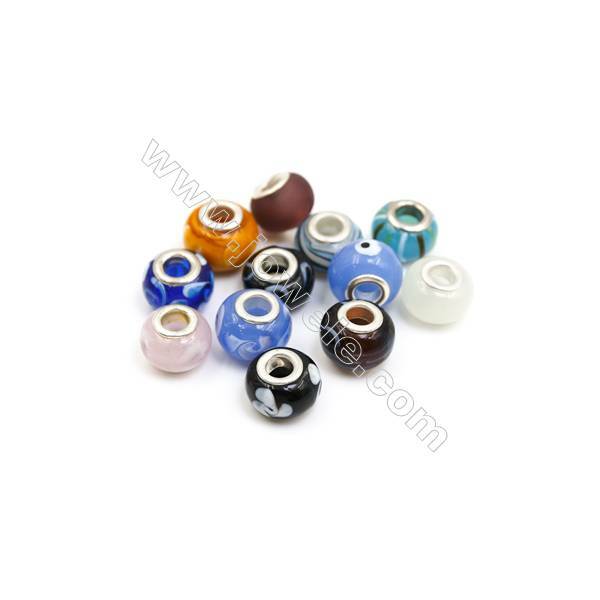 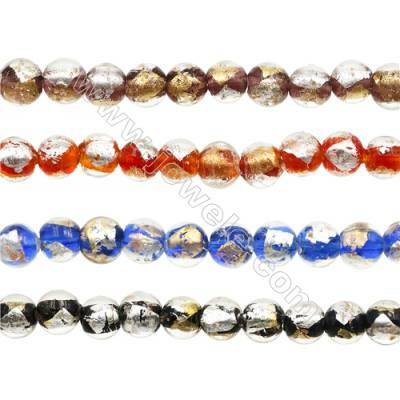 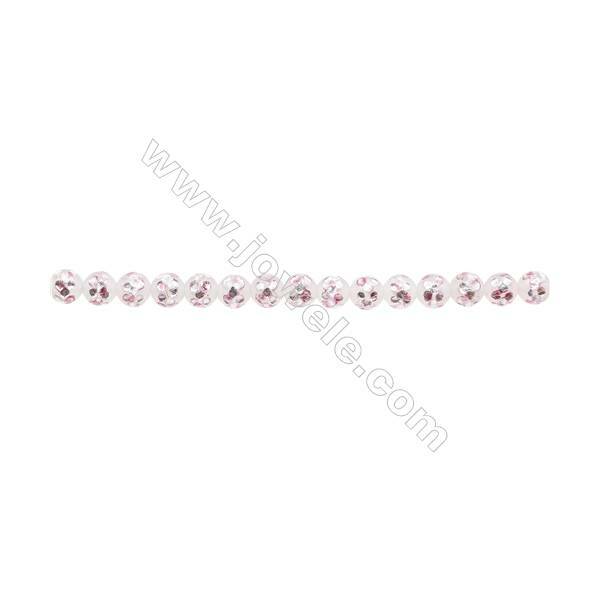 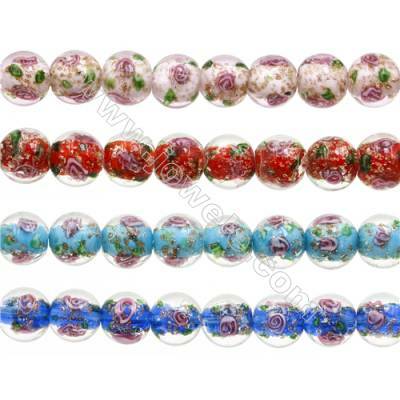 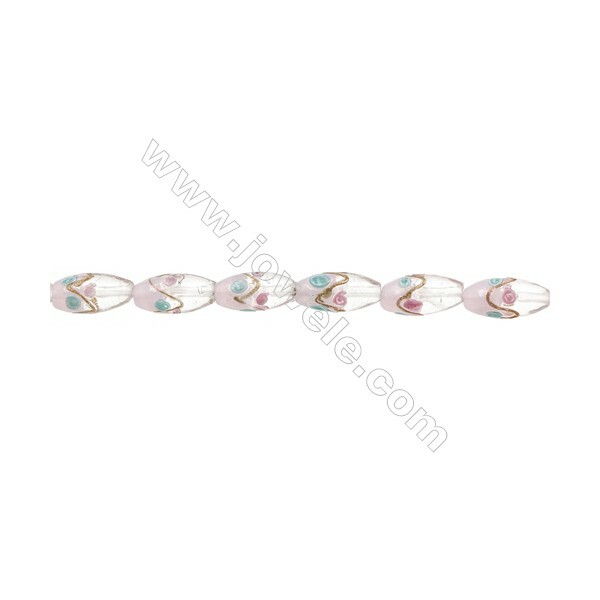 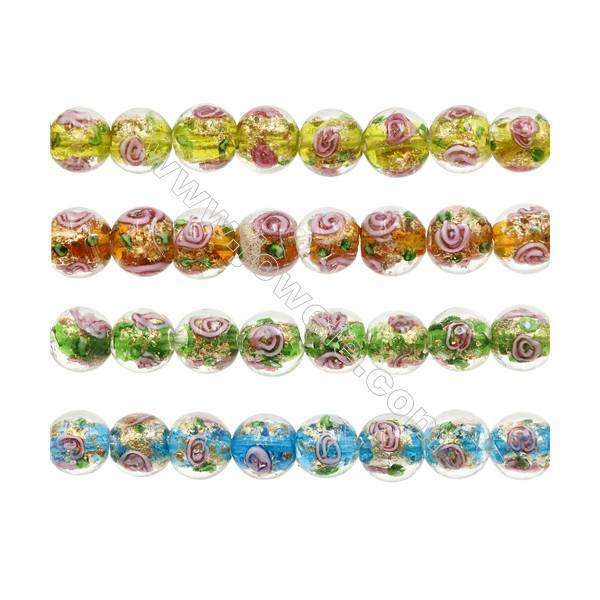 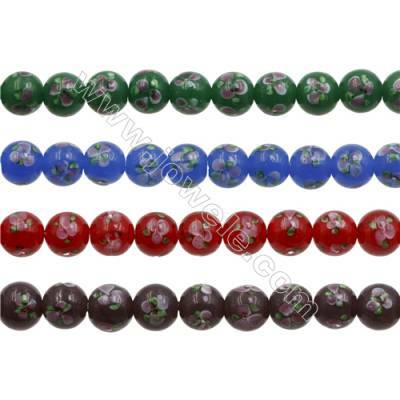 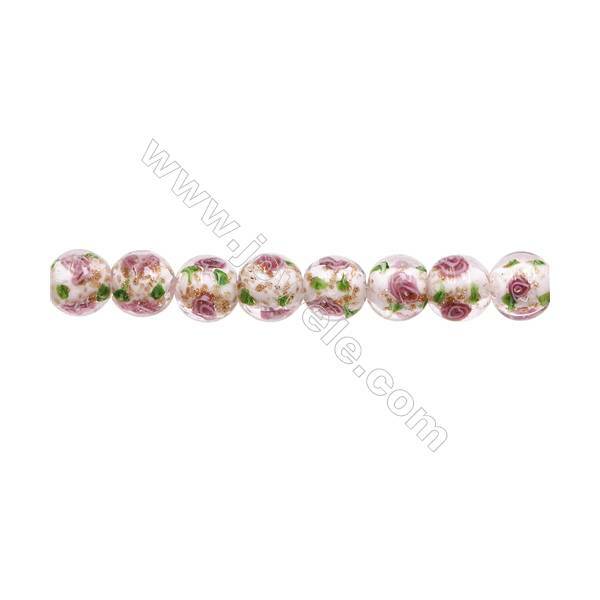 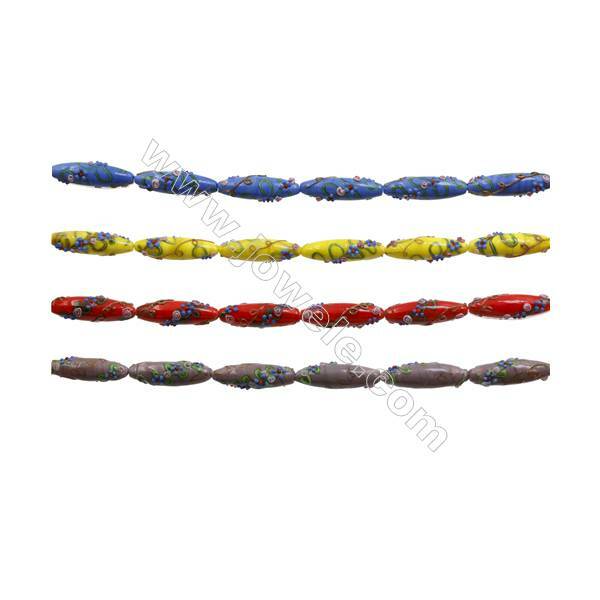 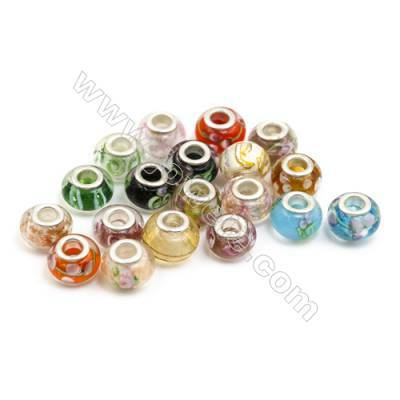 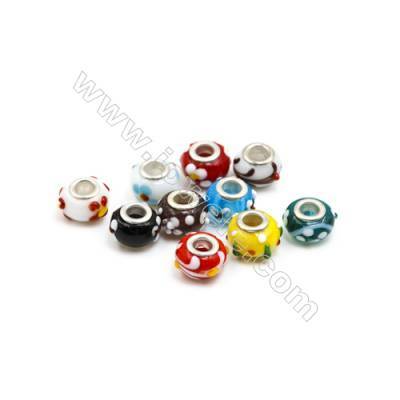 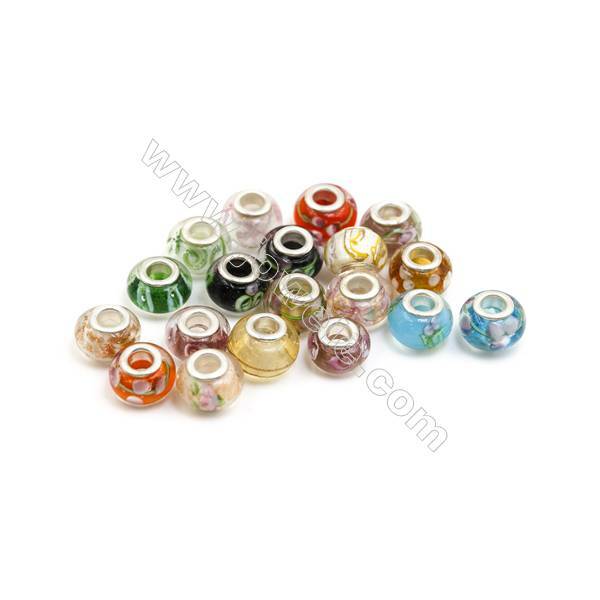 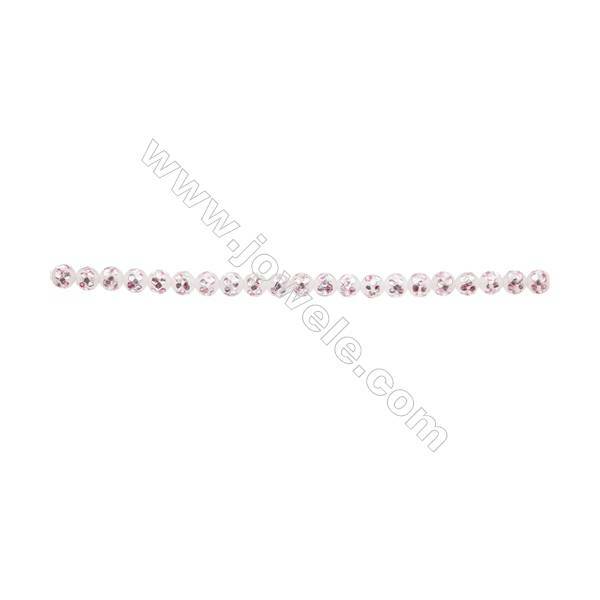 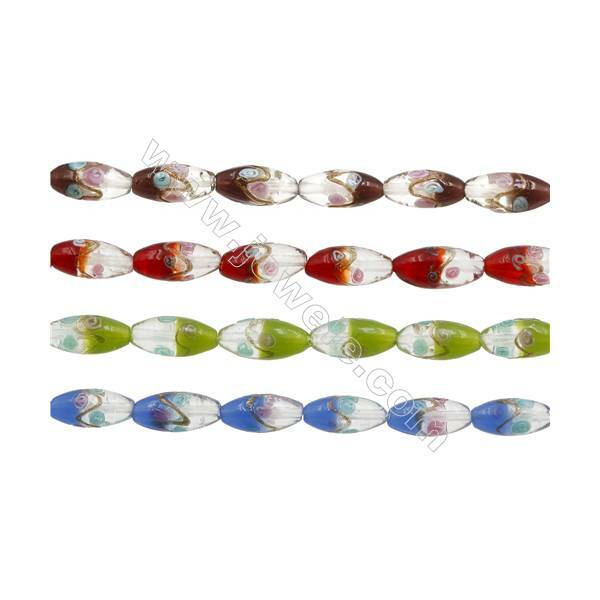 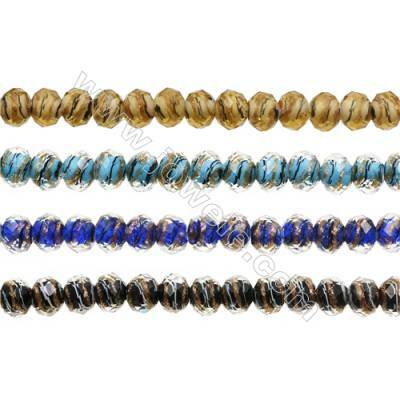 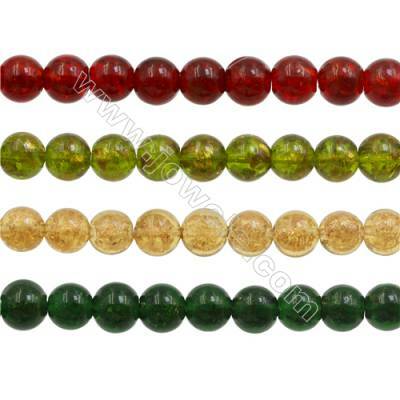 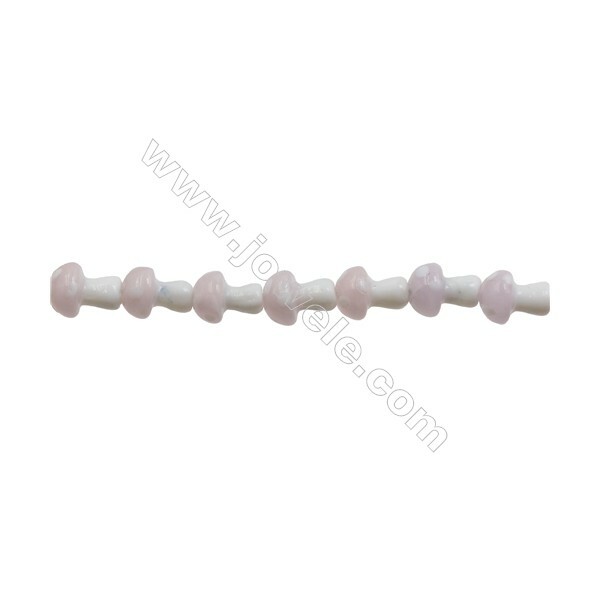 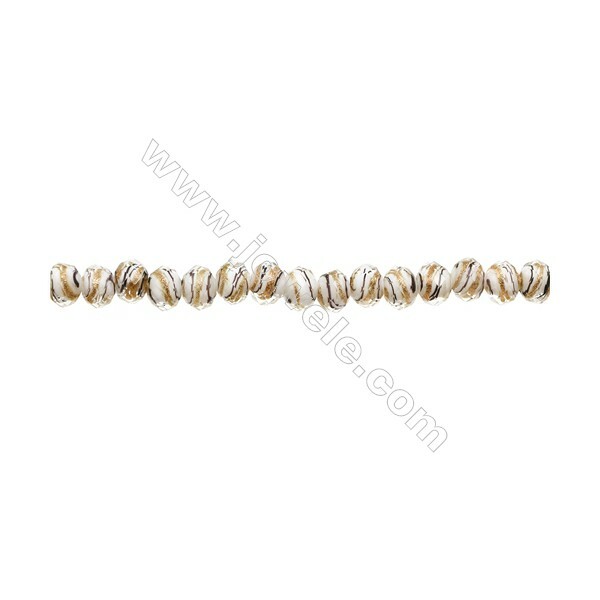 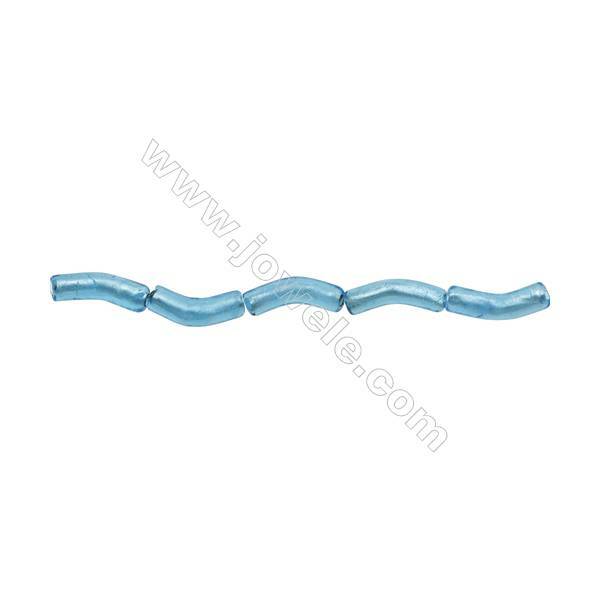 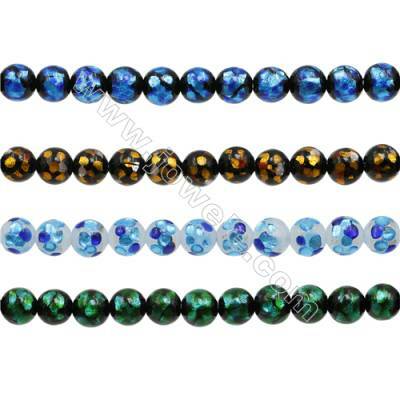 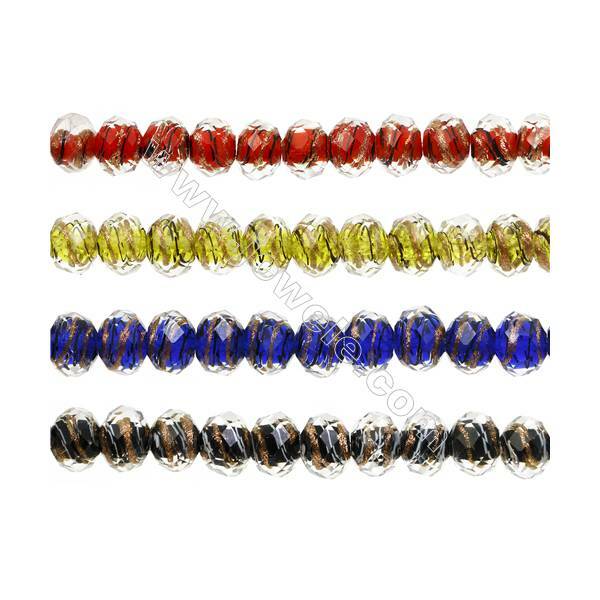 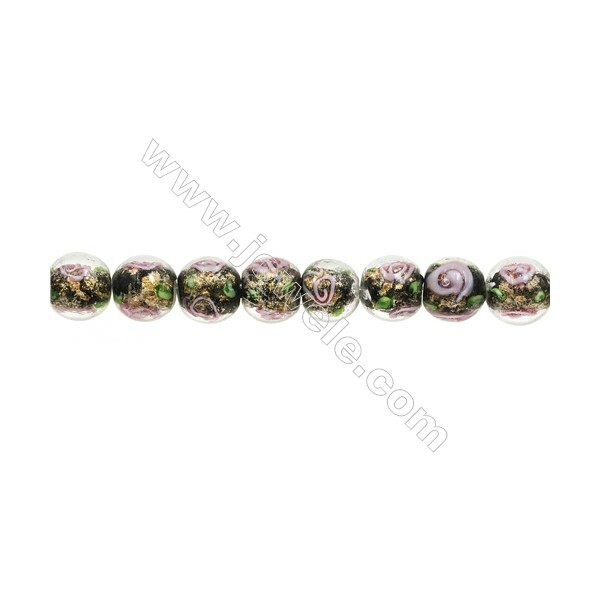 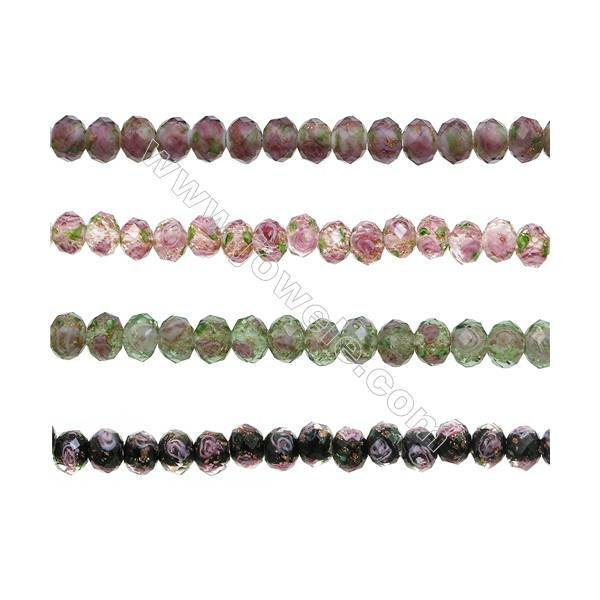 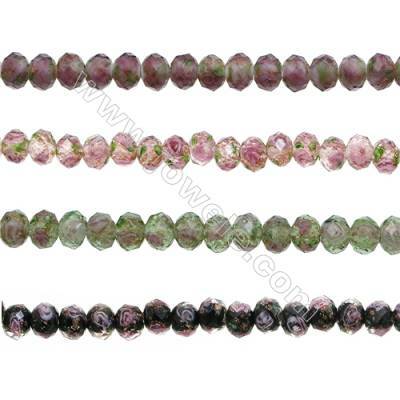 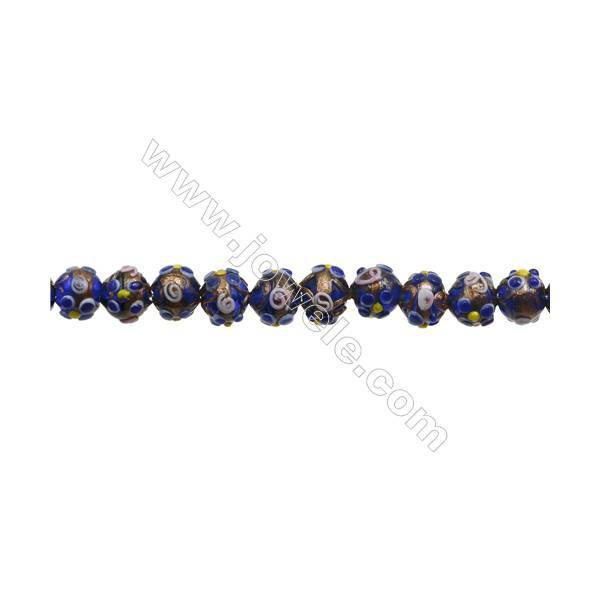 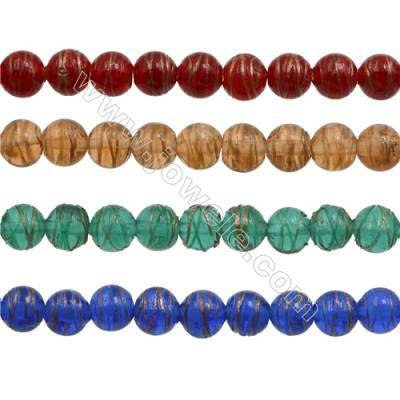 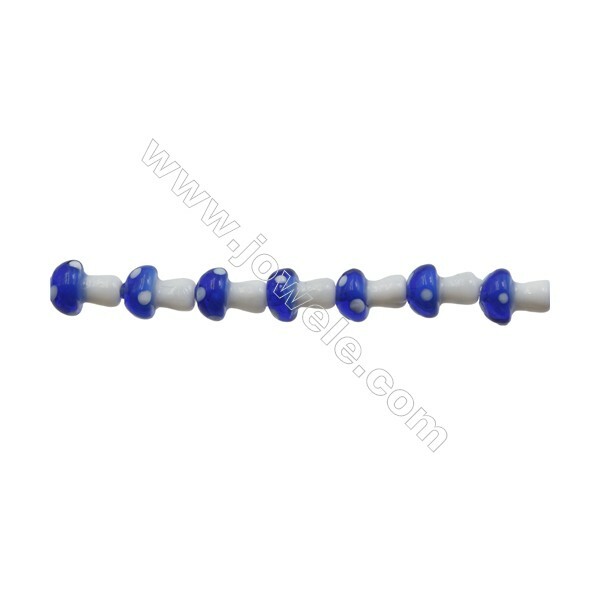 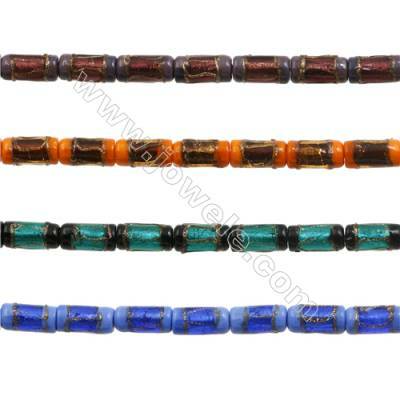 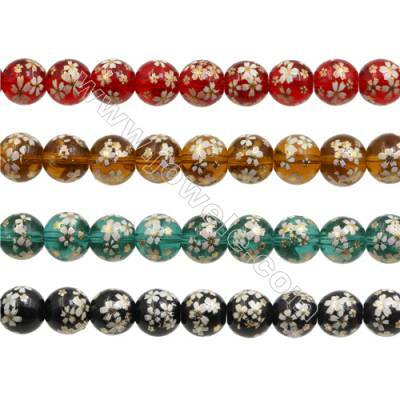 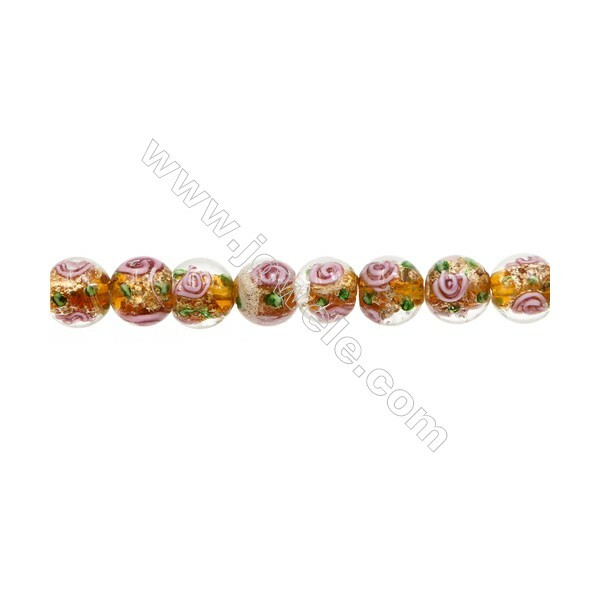 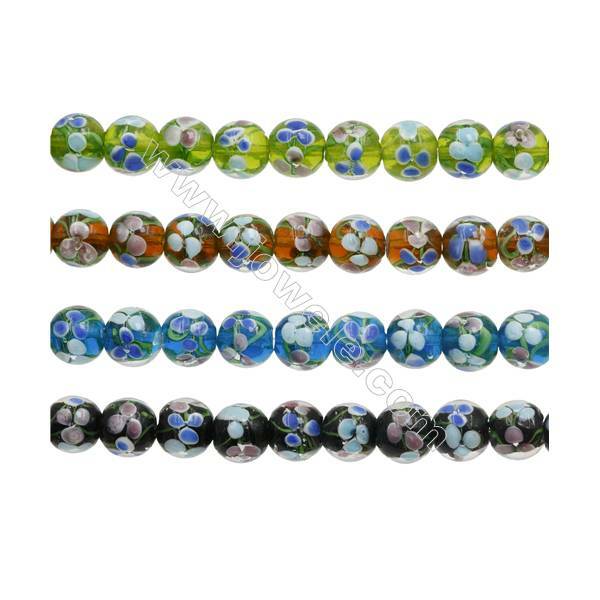 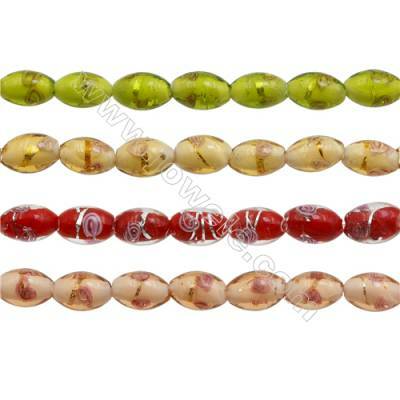 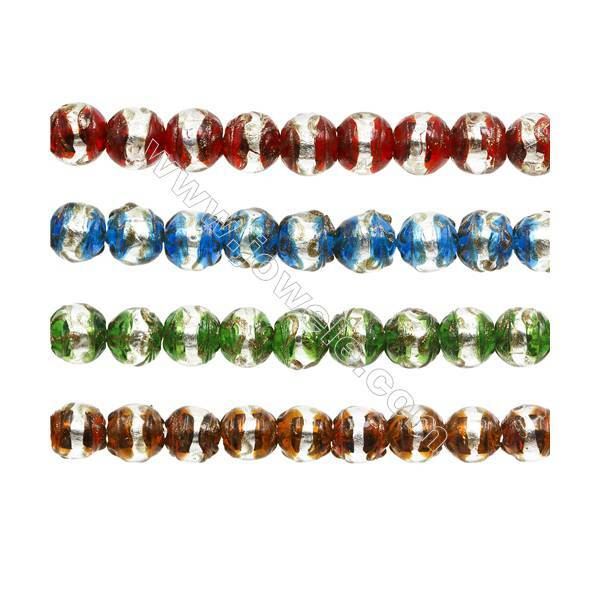 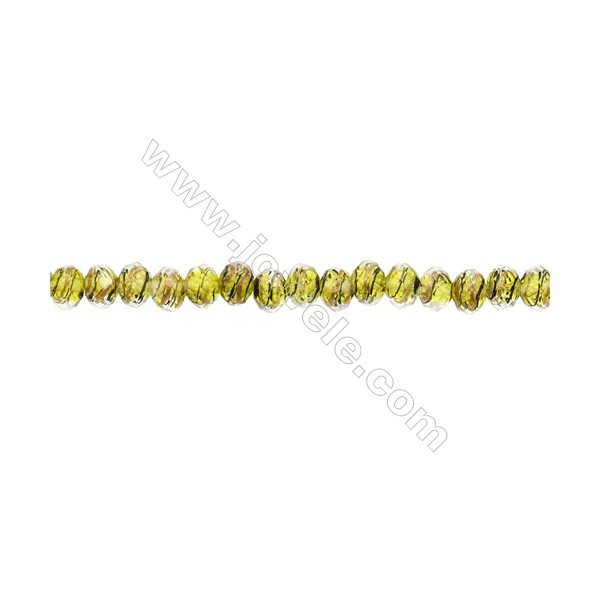 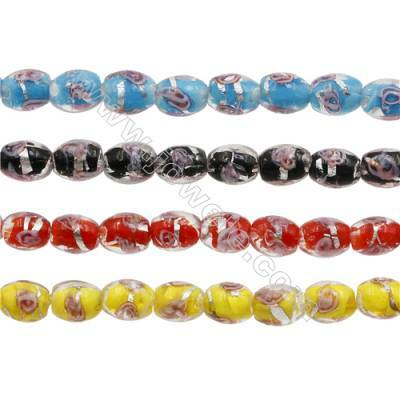 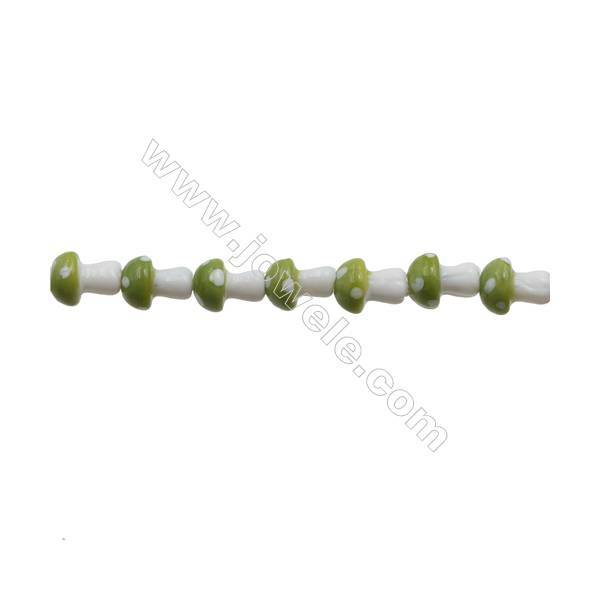 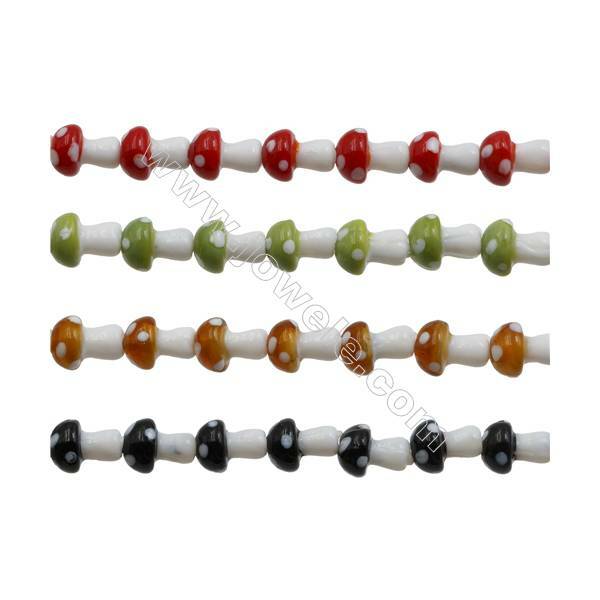 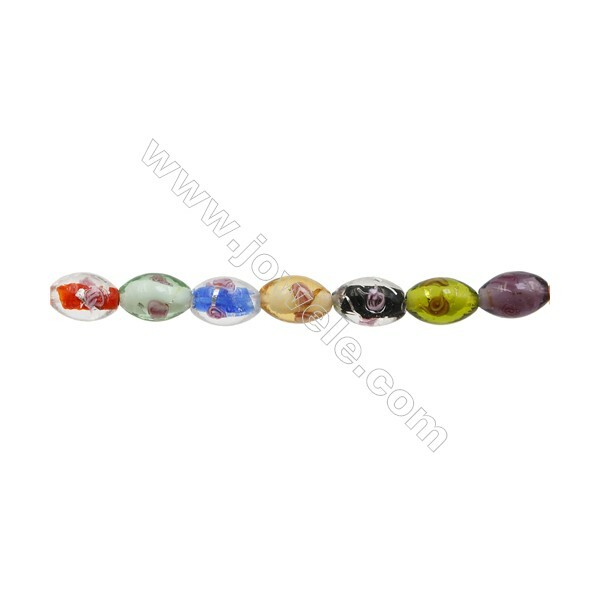 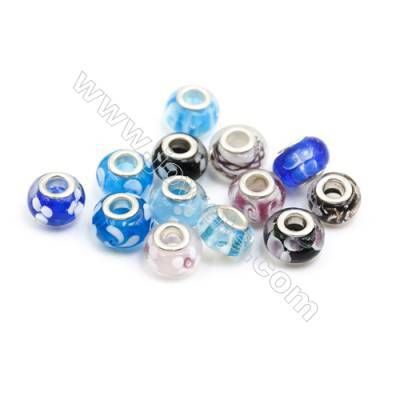 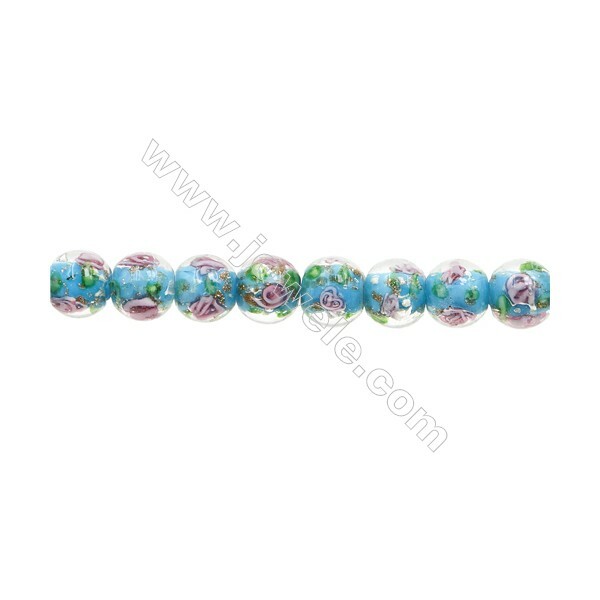 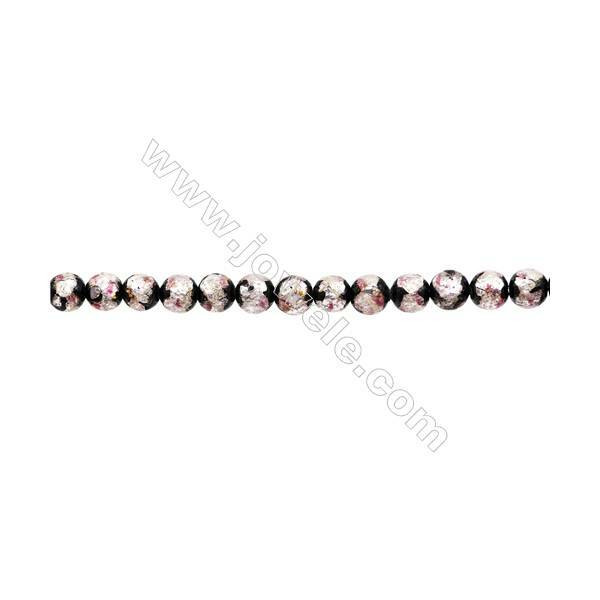 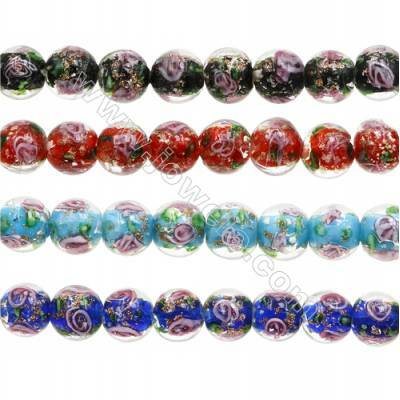 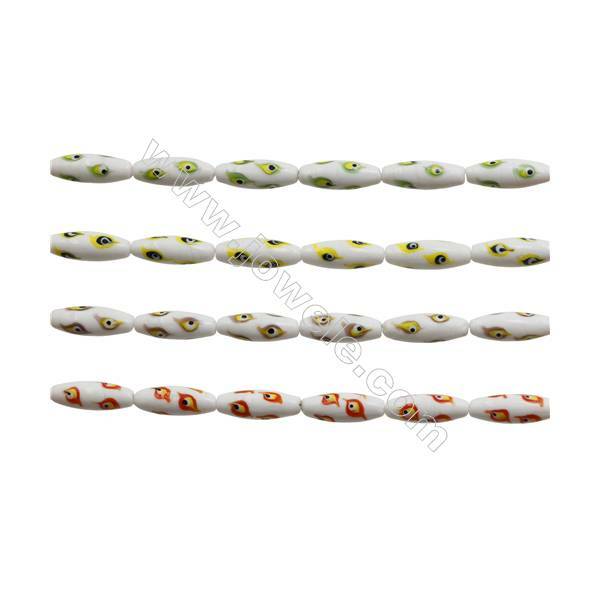 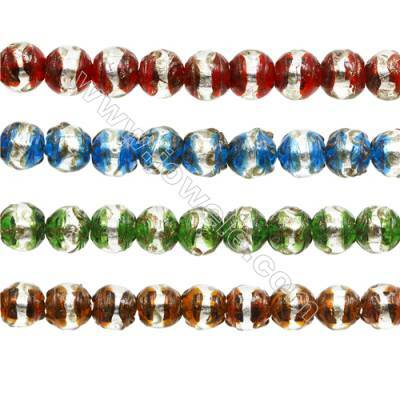 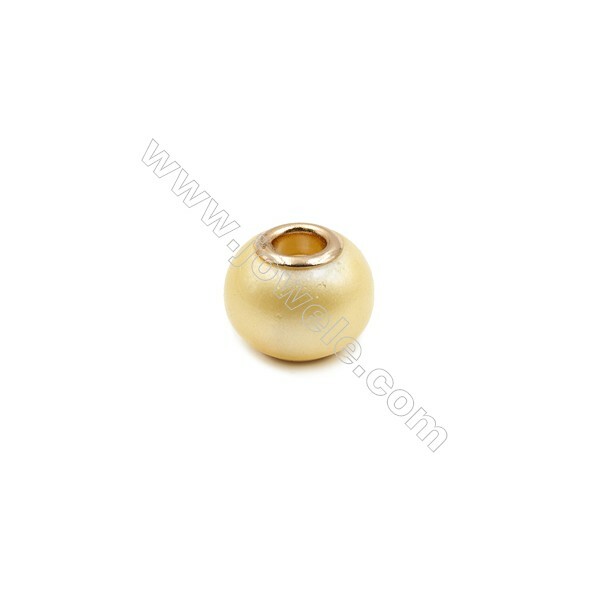 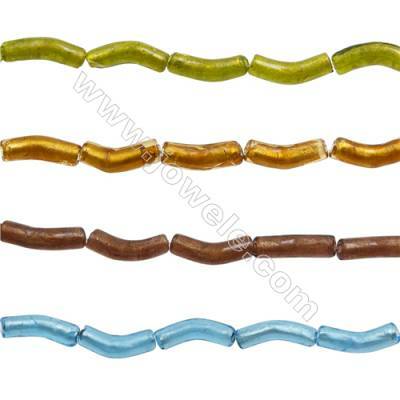 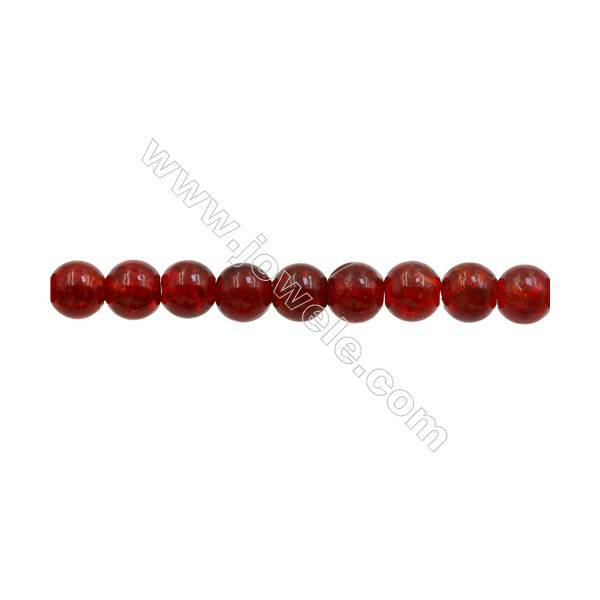 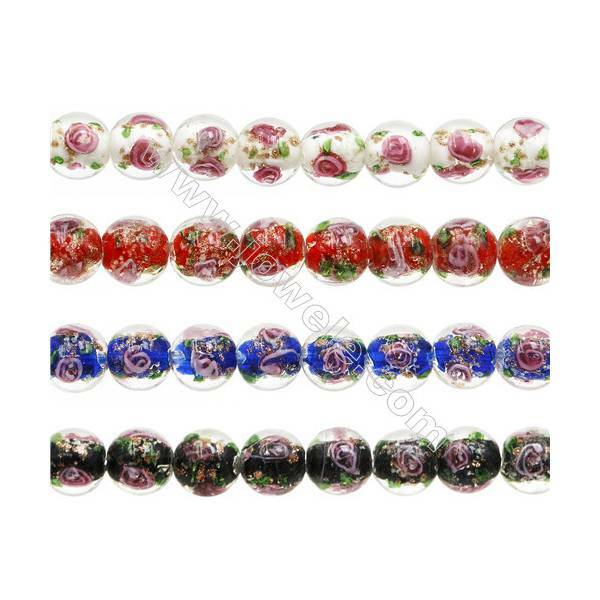 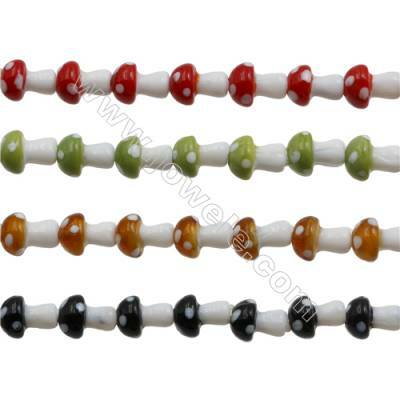 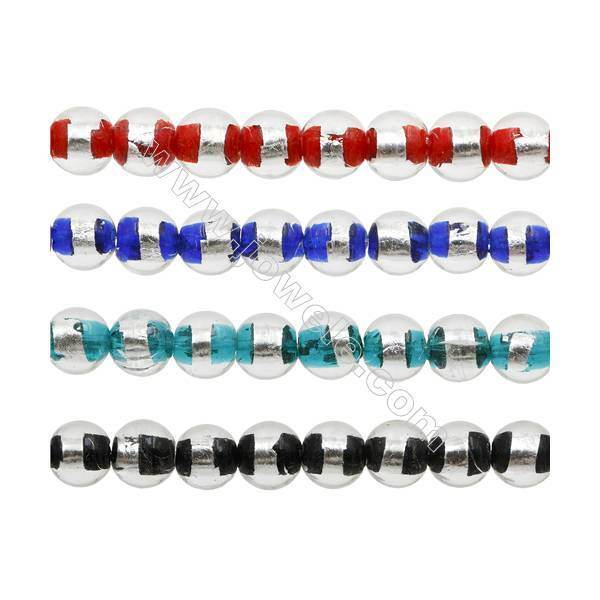 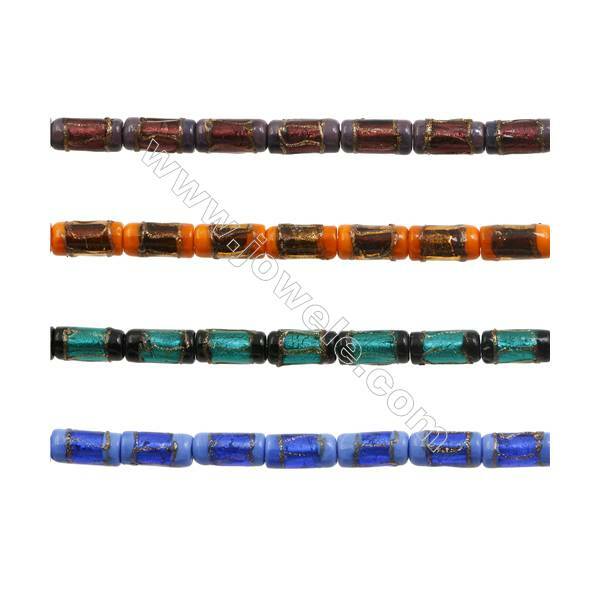 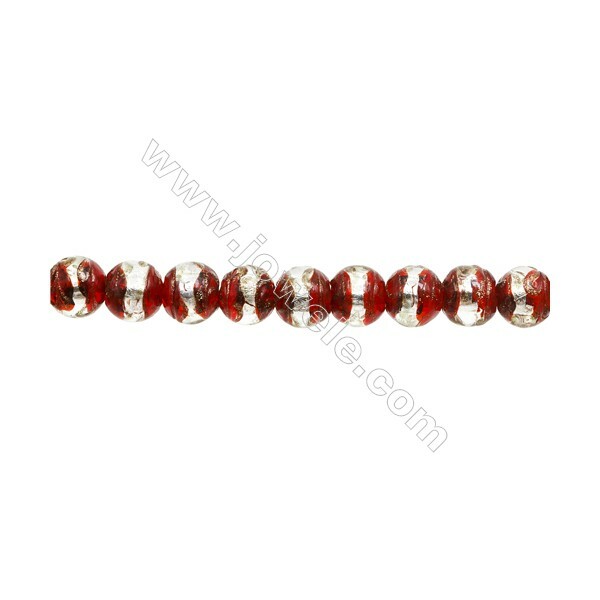 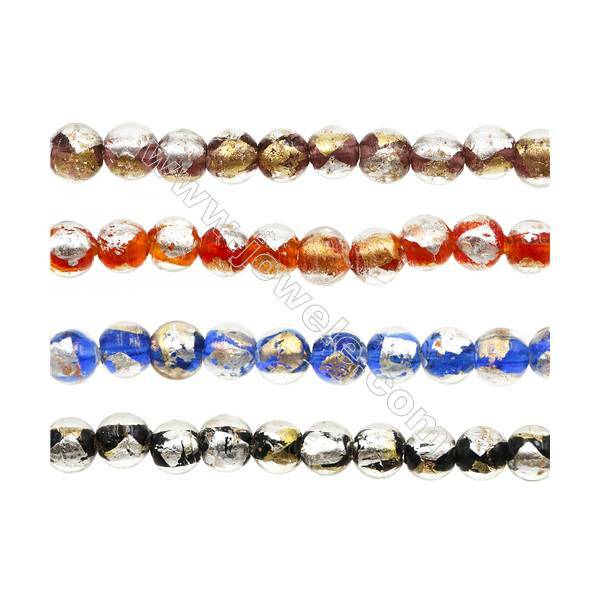 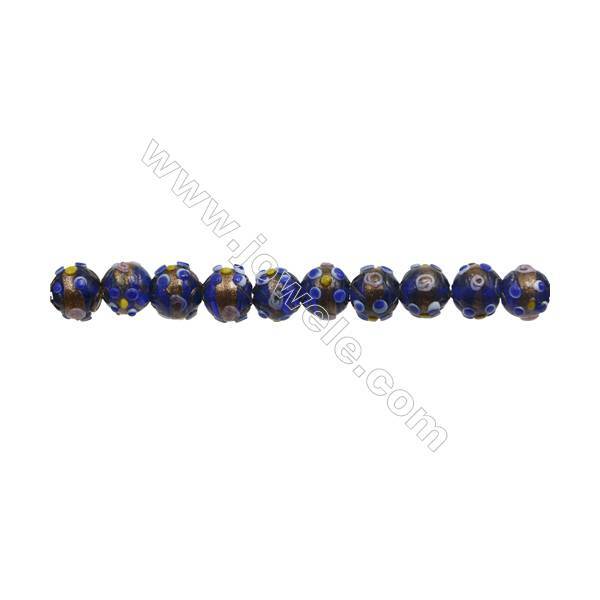 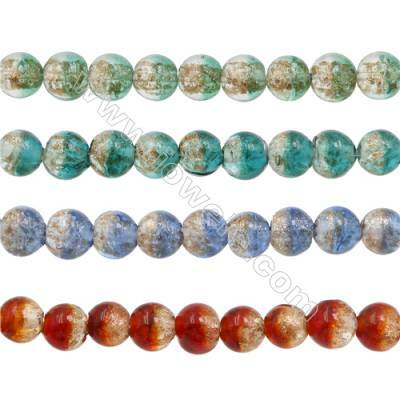 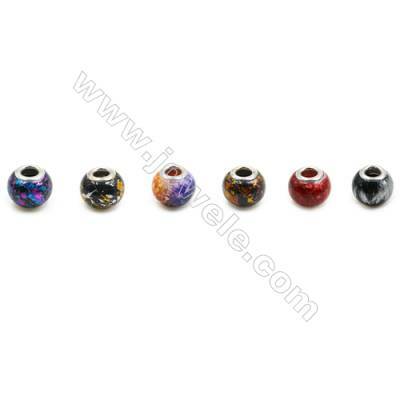 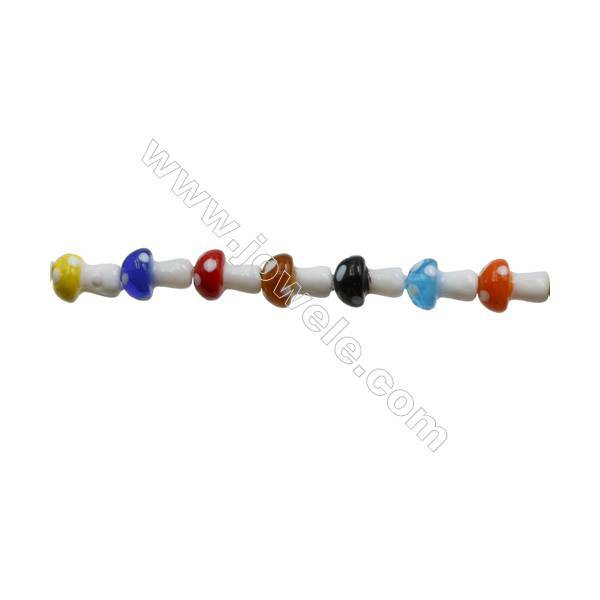 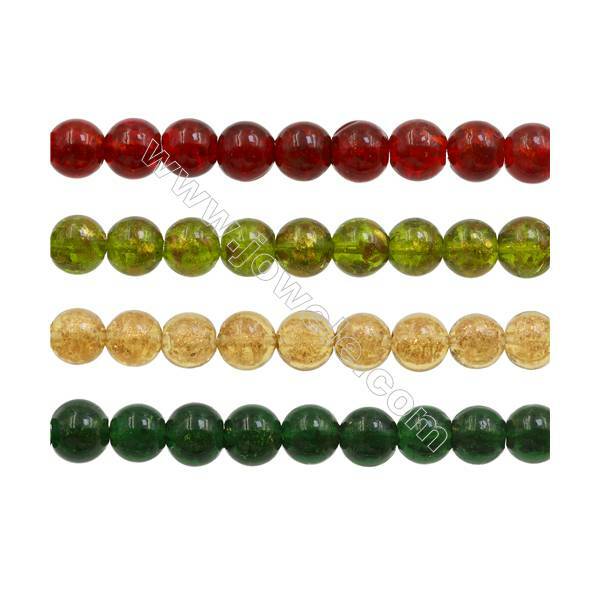 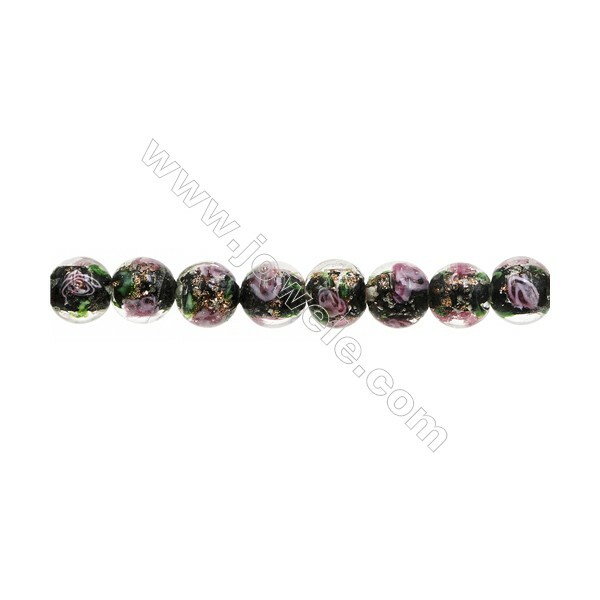 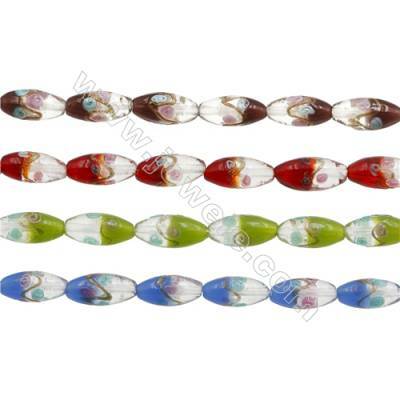 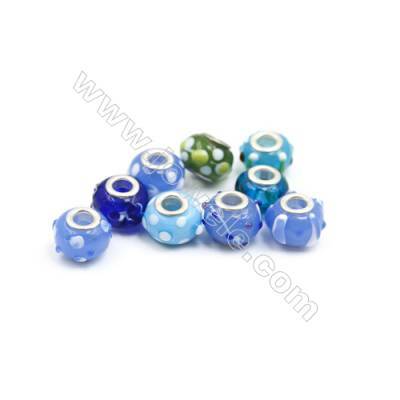 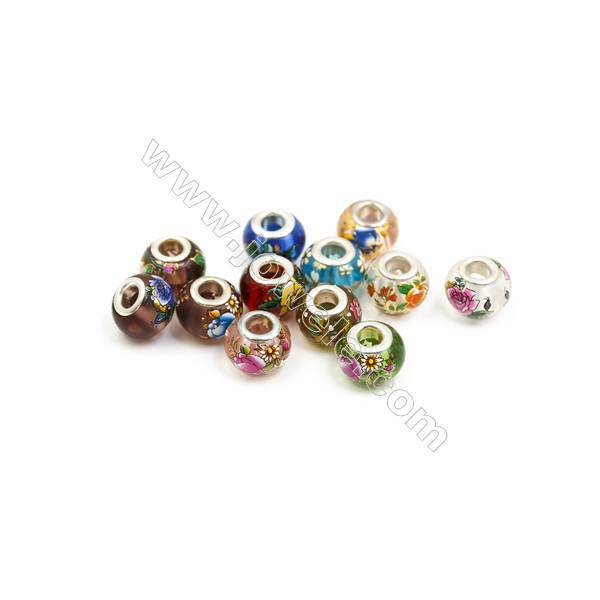 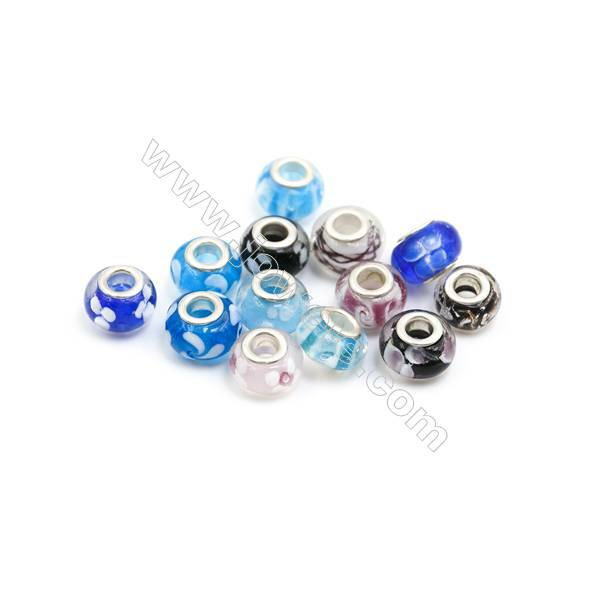 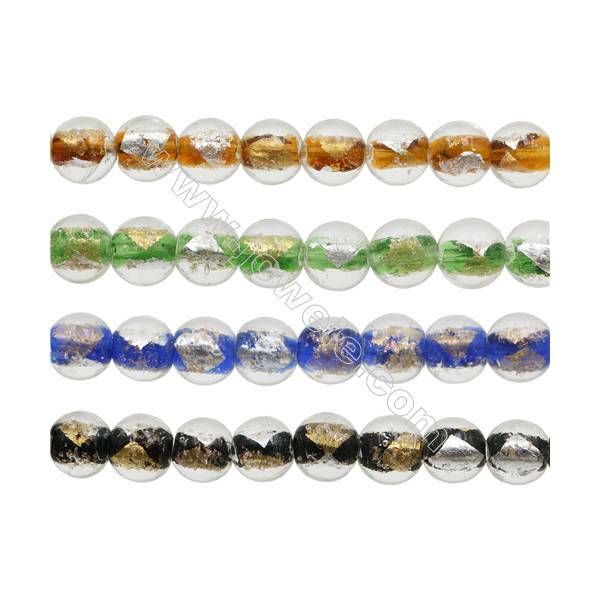 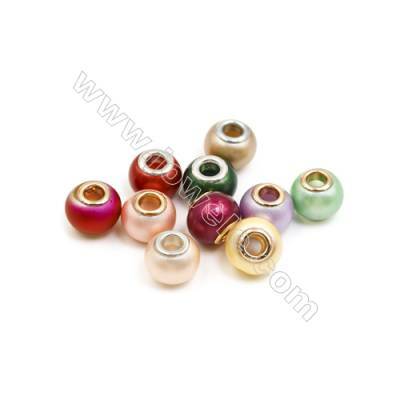 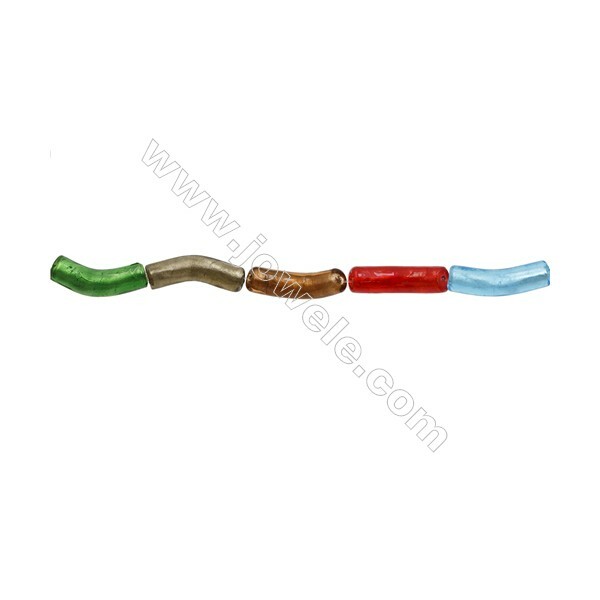 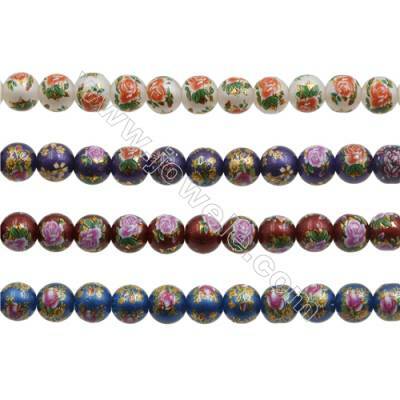 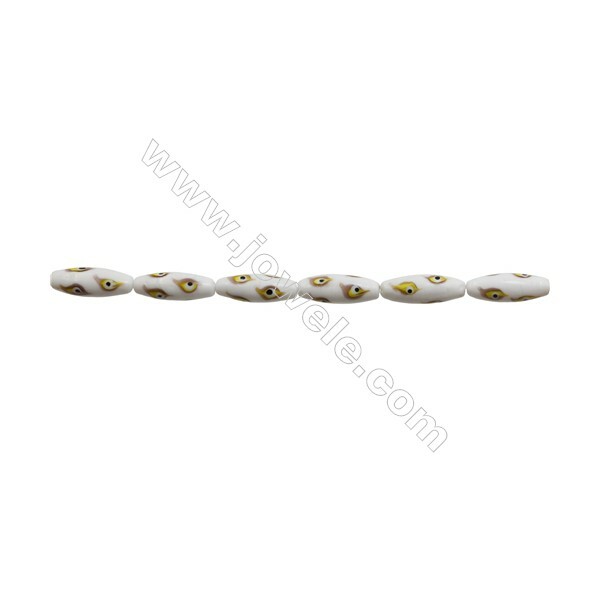 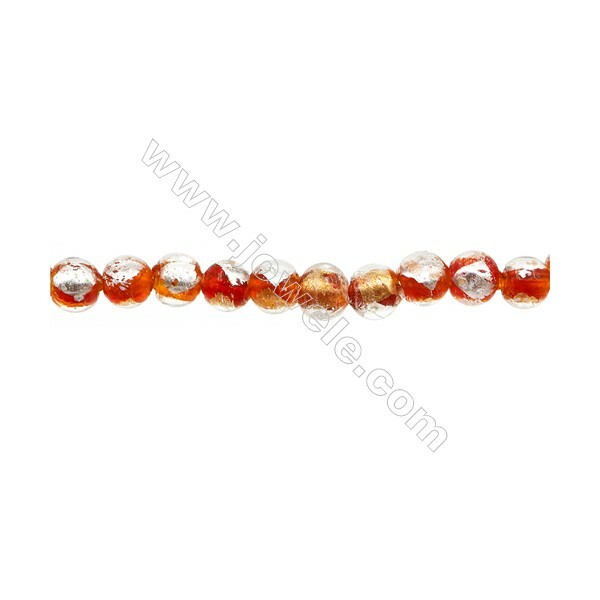 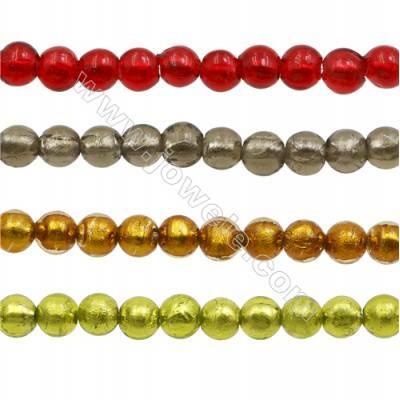 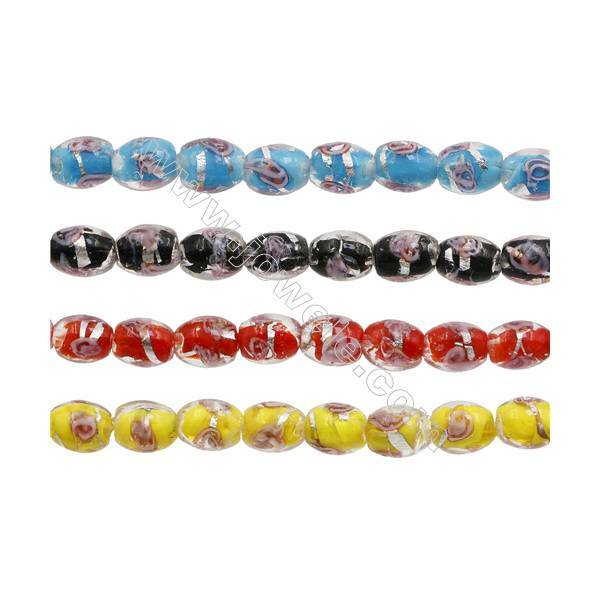 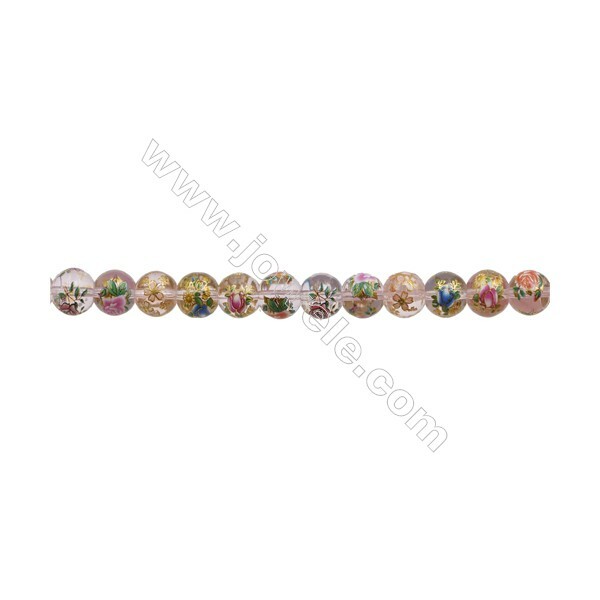 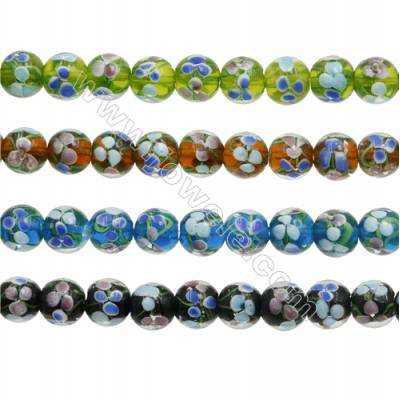 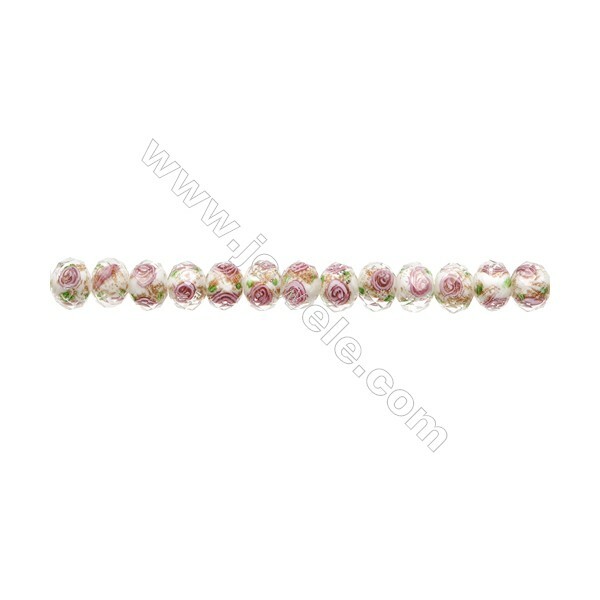 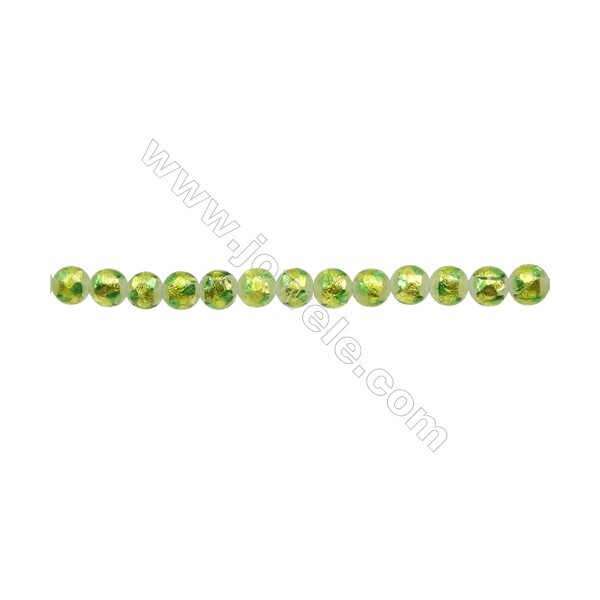 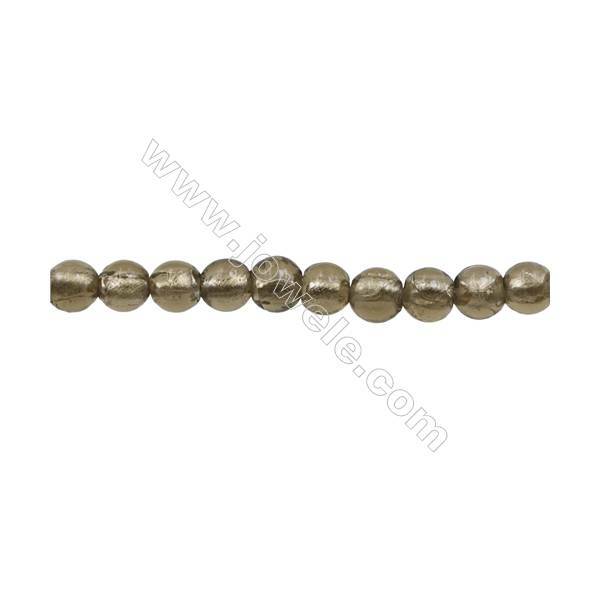 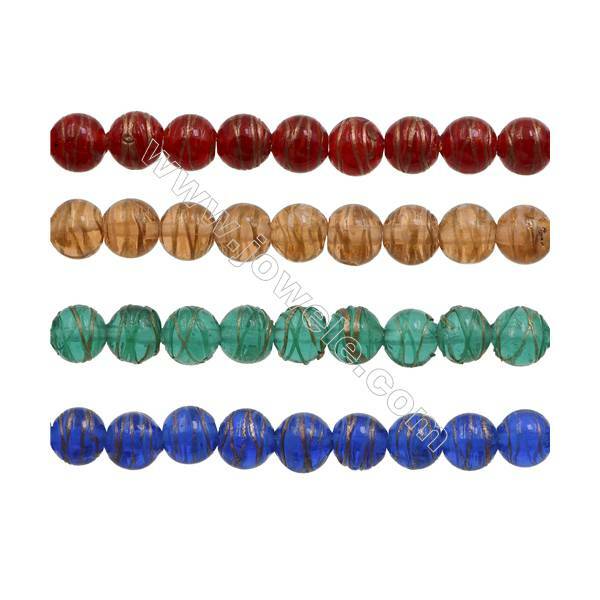 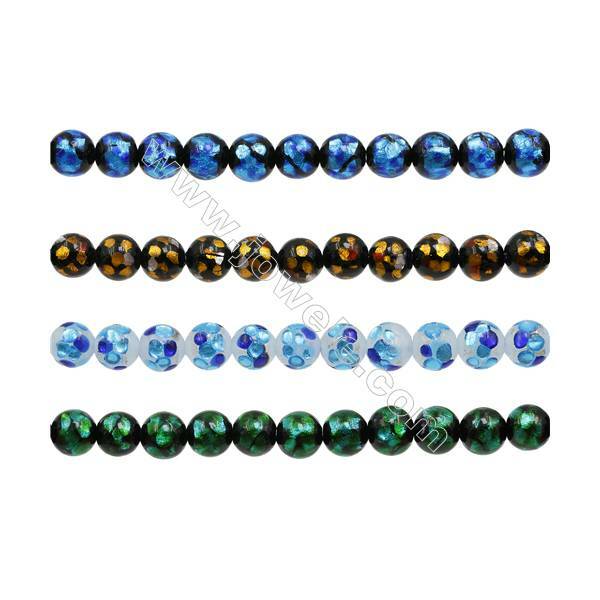 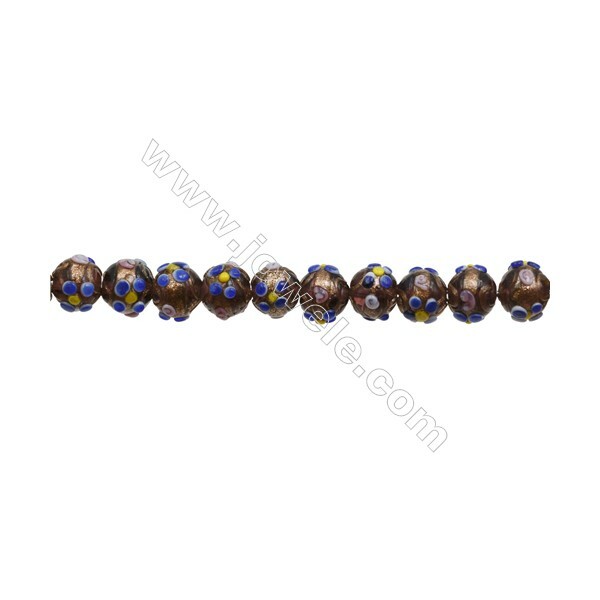 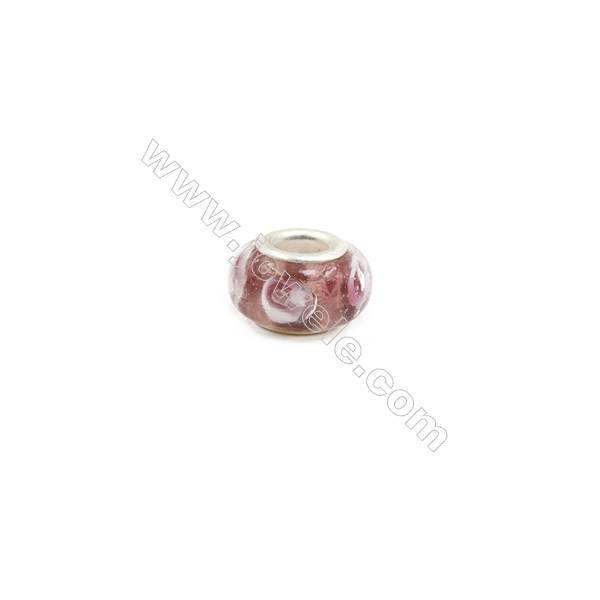 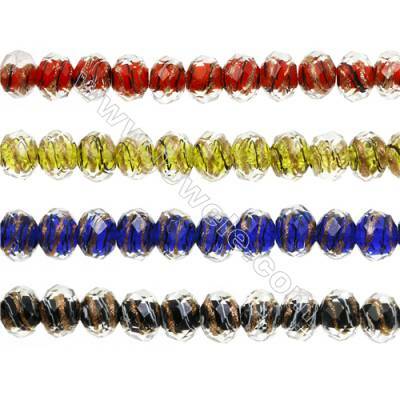 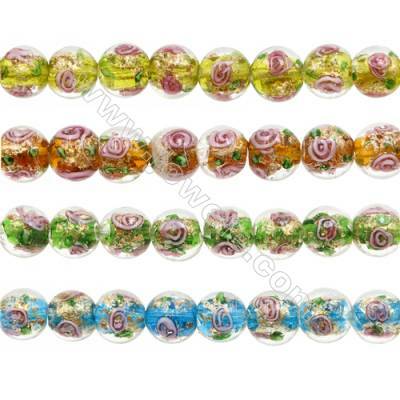 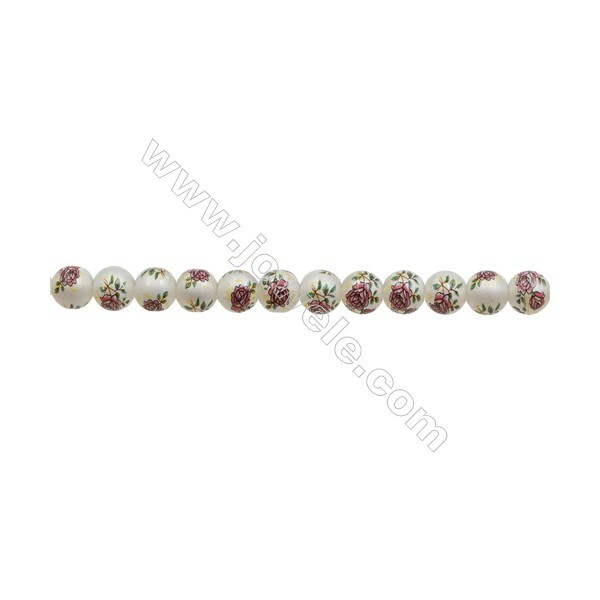 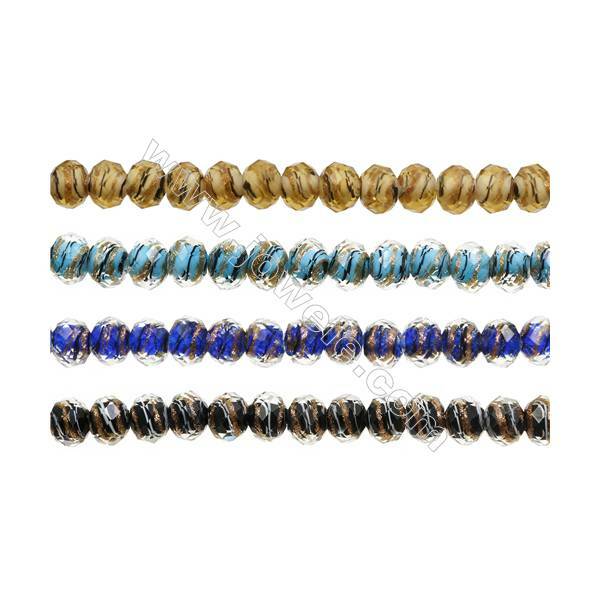 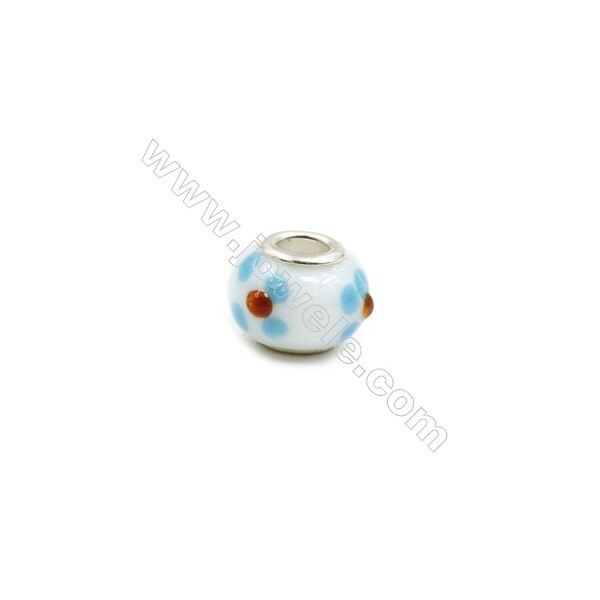 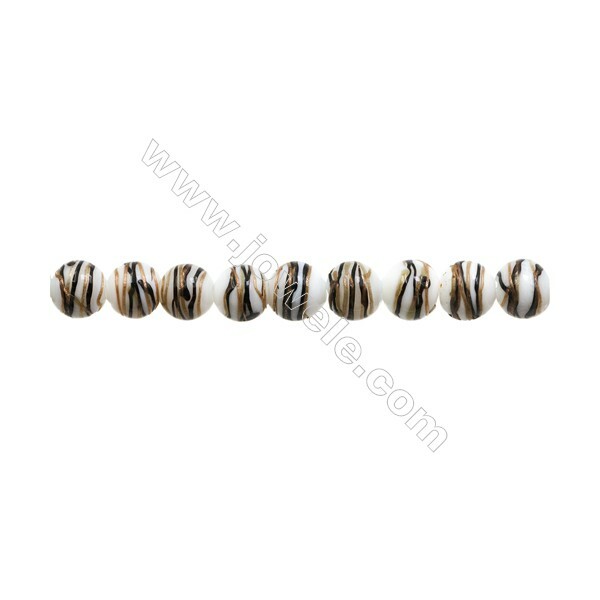 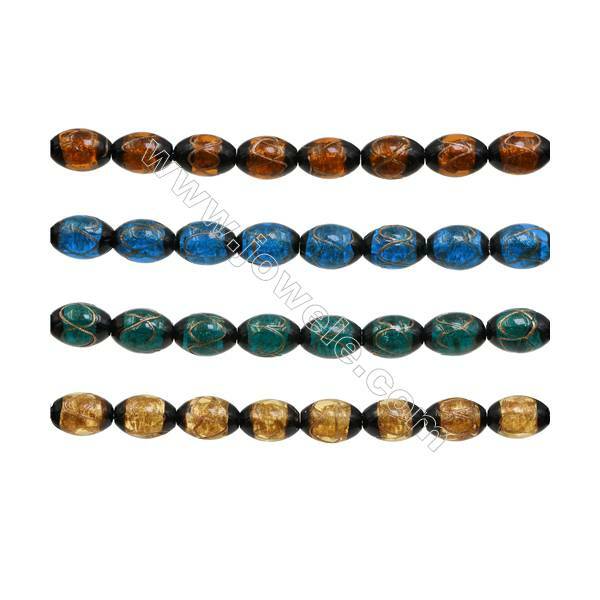 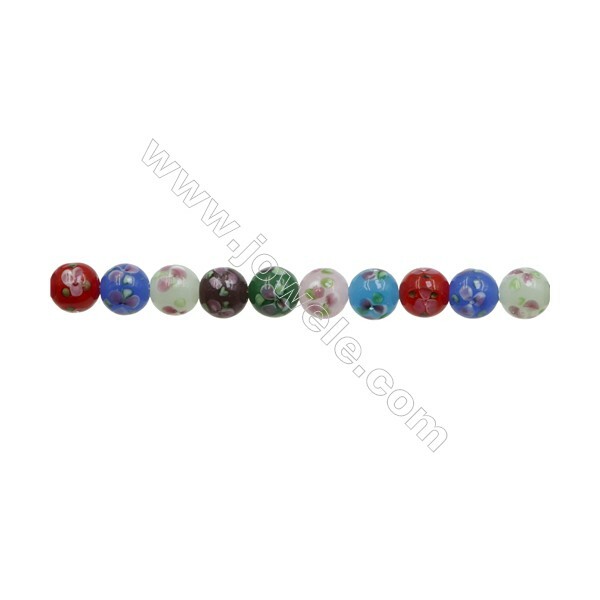 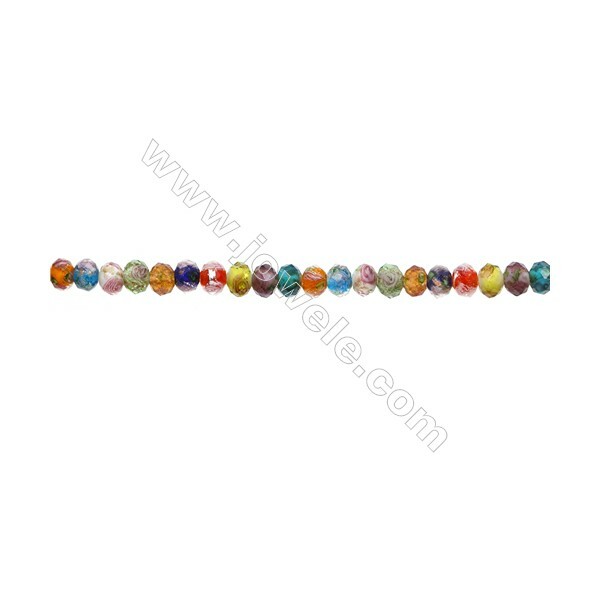 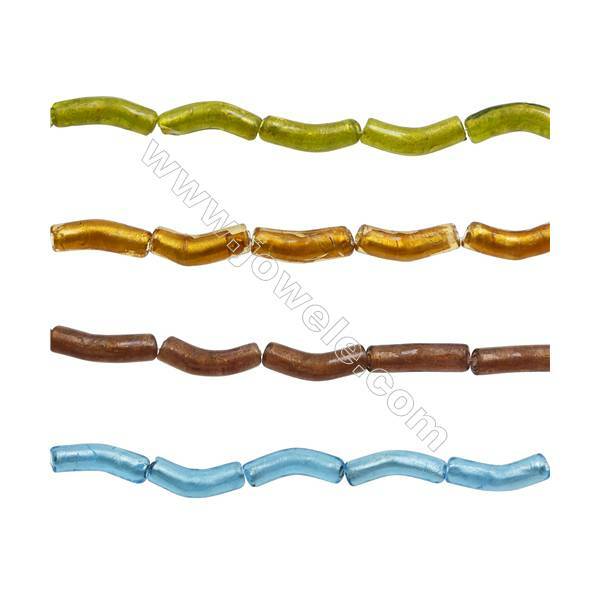 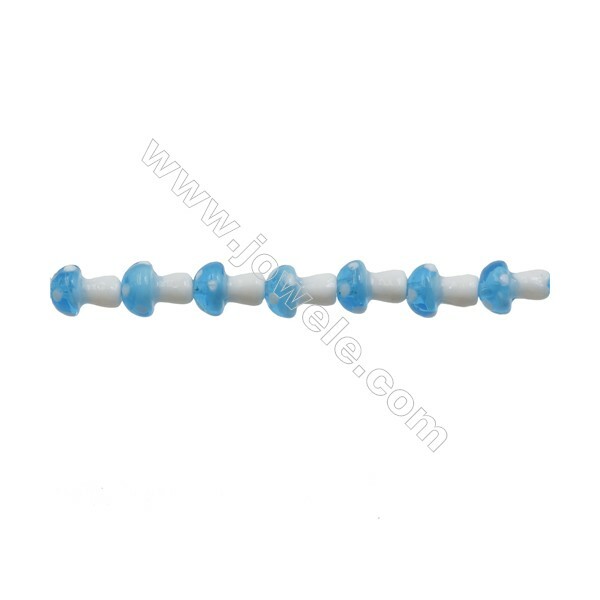 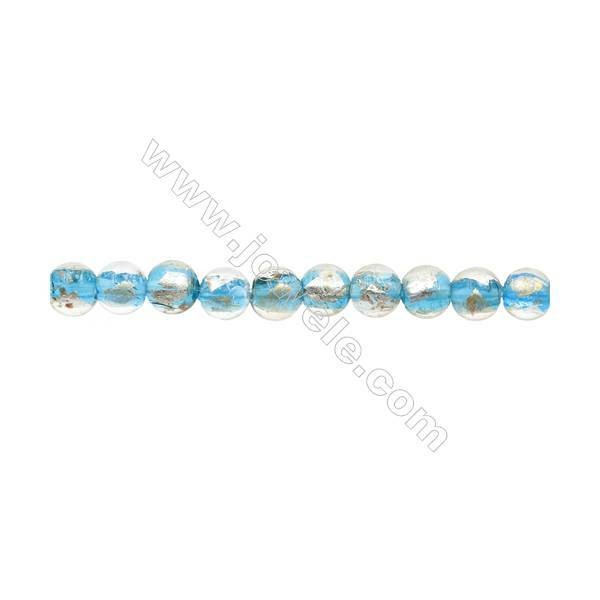 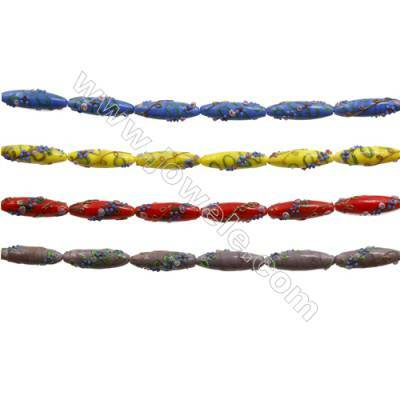 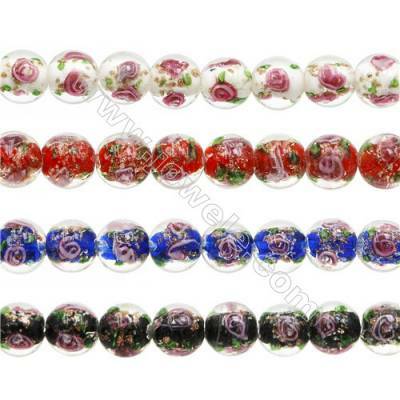 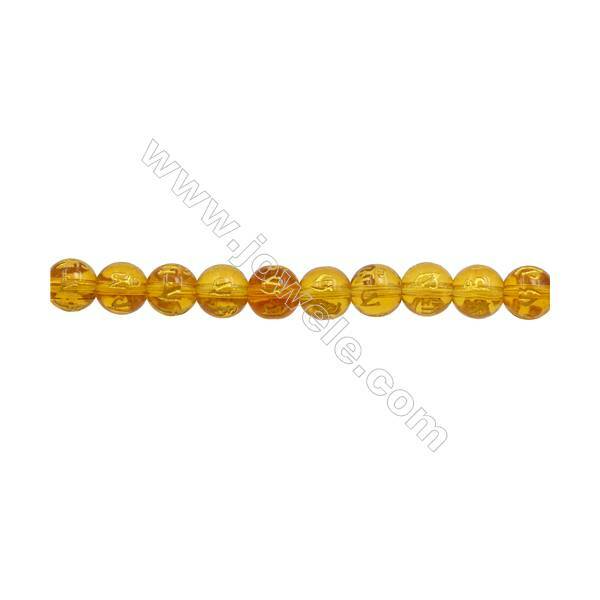 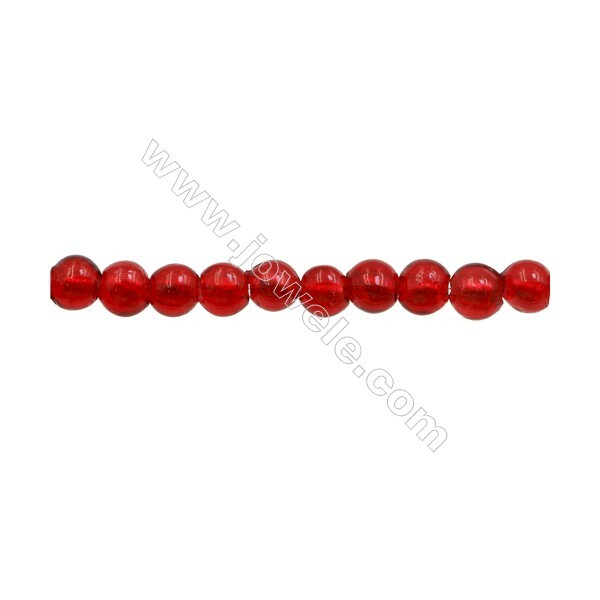 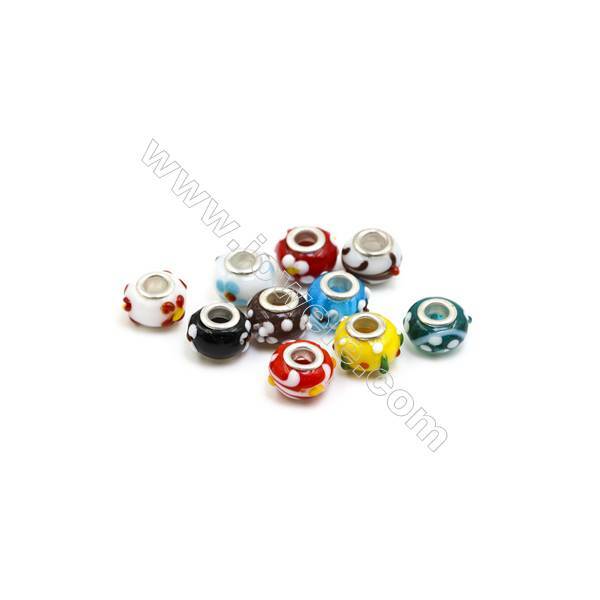 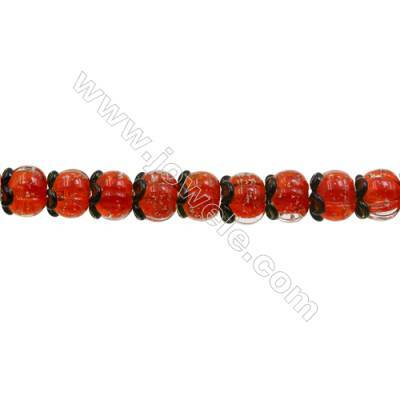 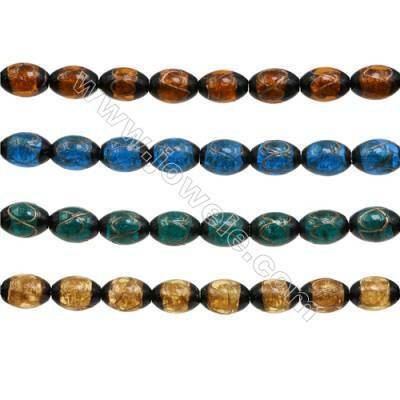 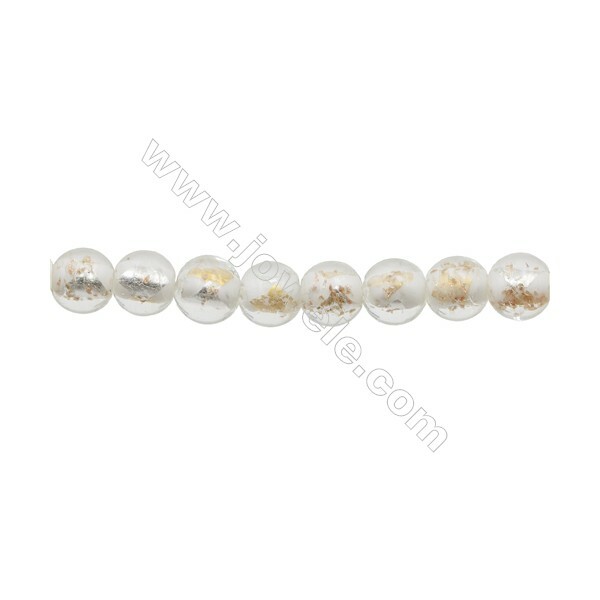 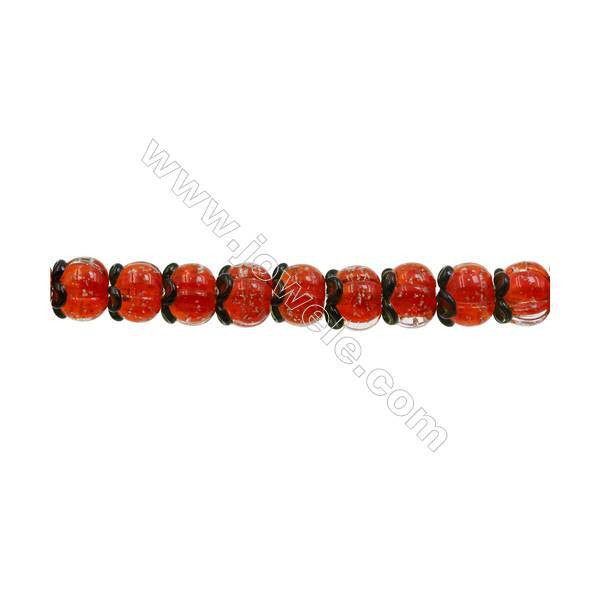 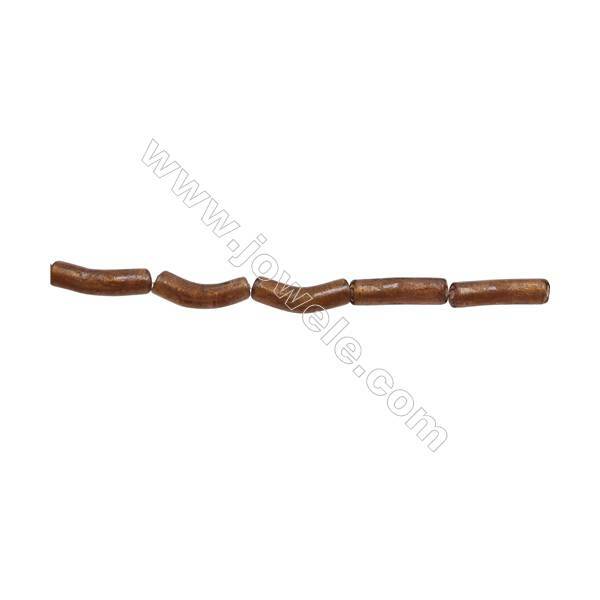 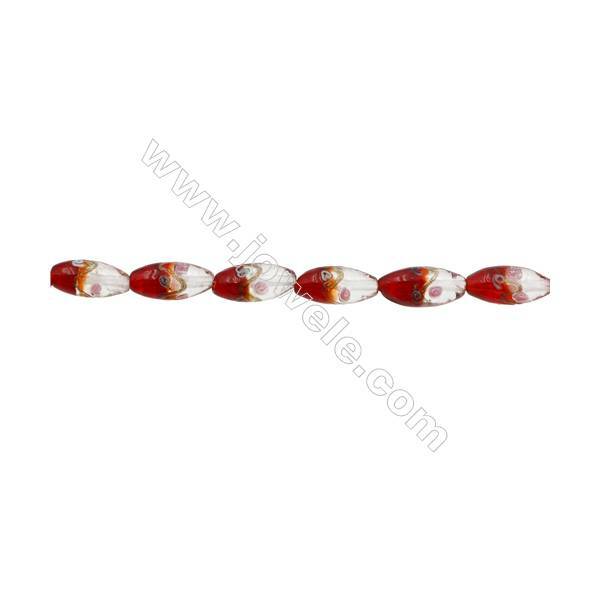 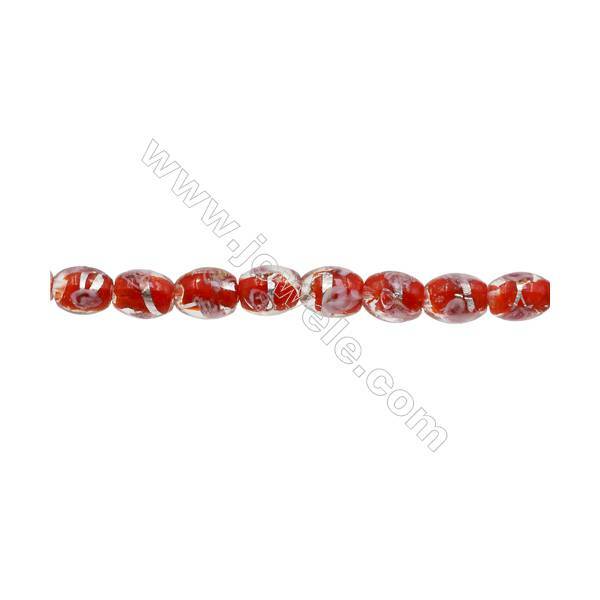 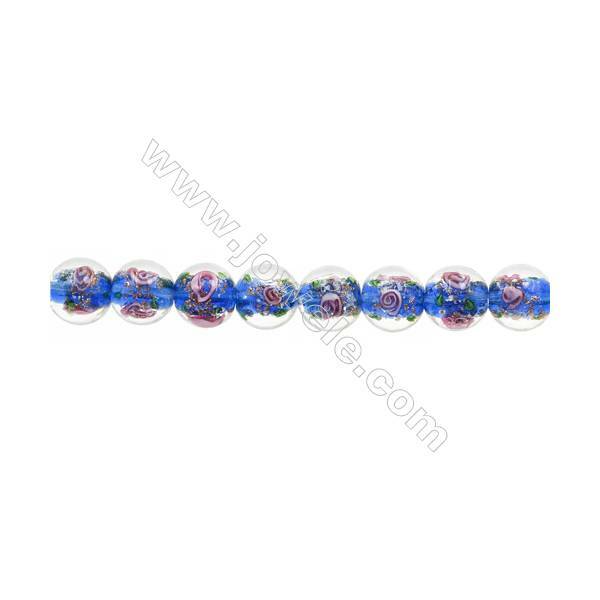 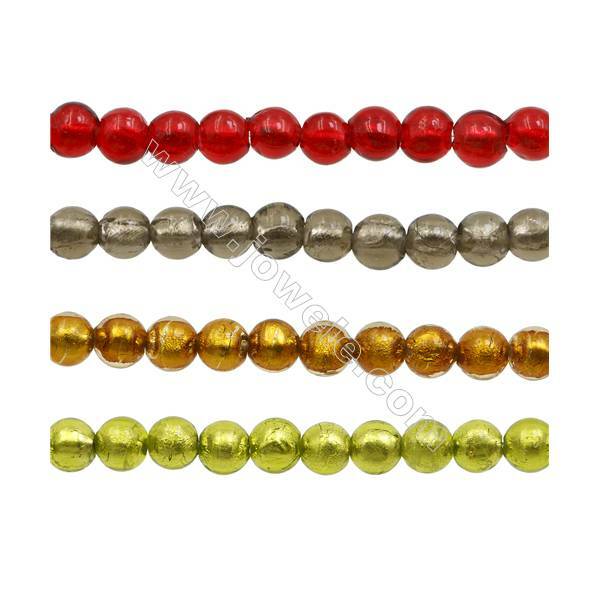 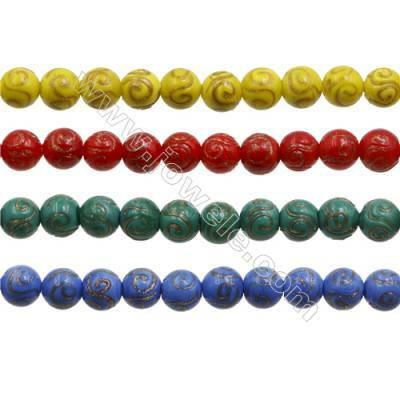 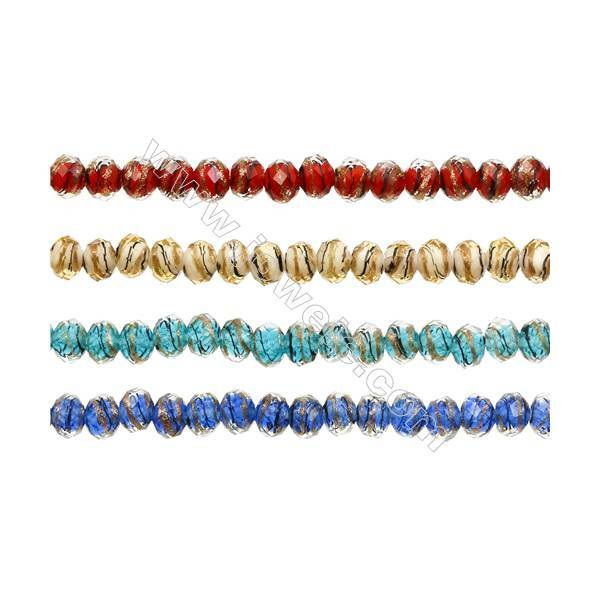 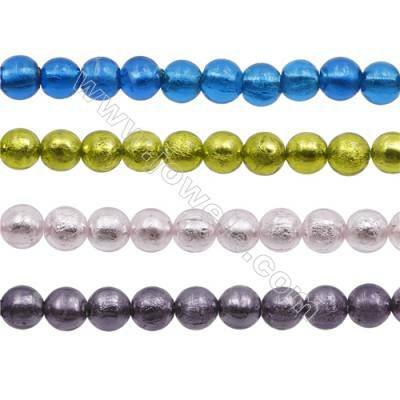 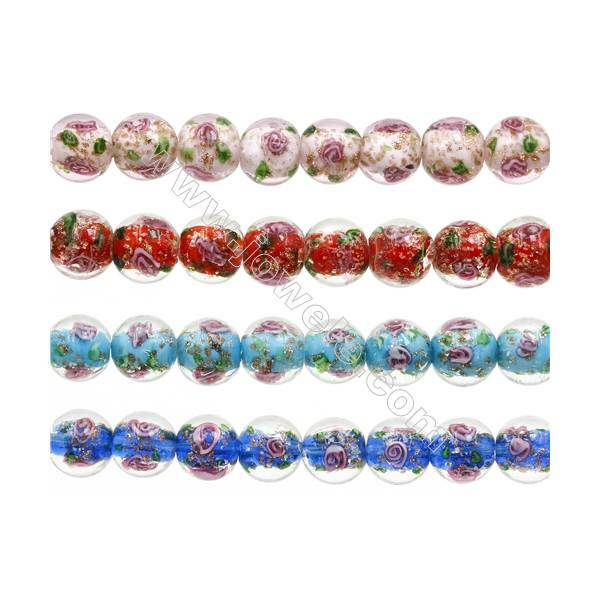 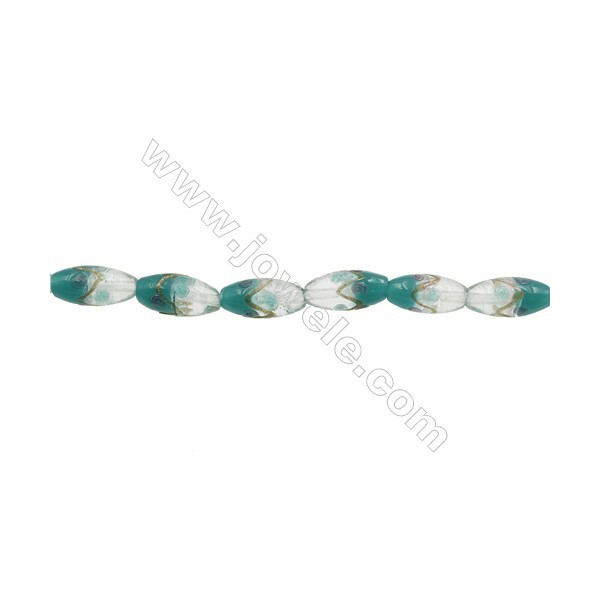 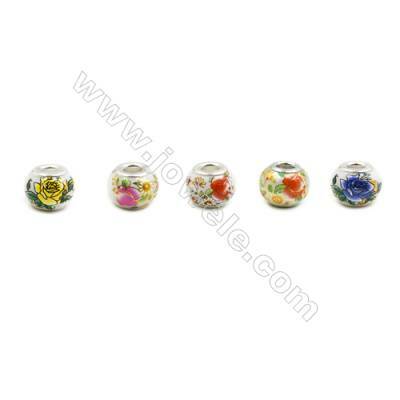 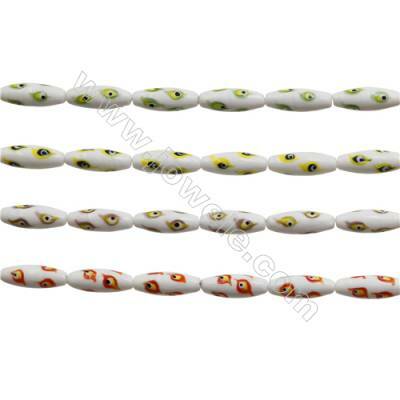 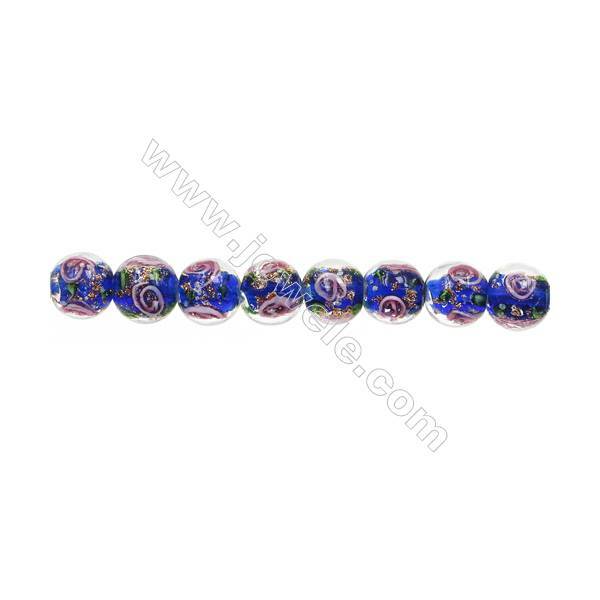 Variety of Hand-made Lampwork glass beads with artistic features are gathered Jowele. 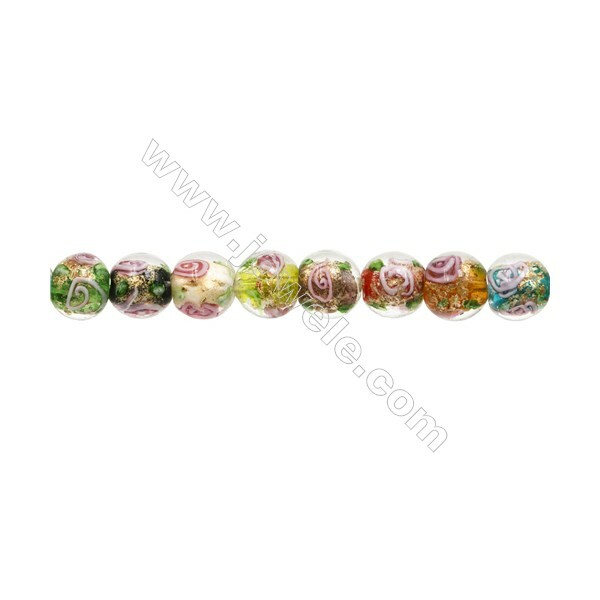 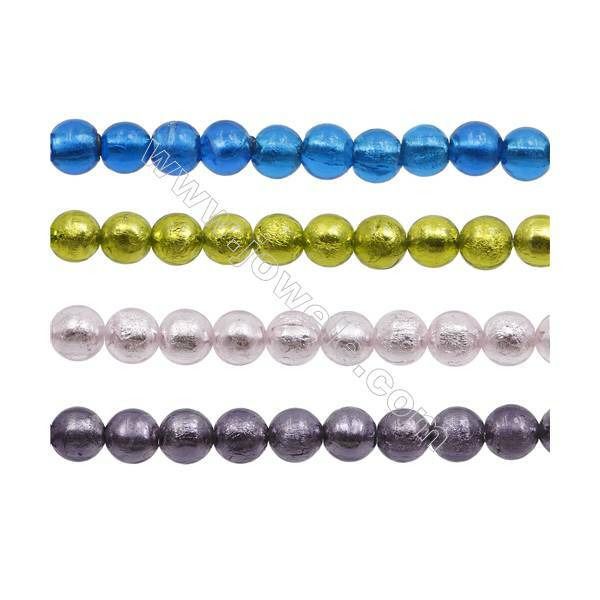 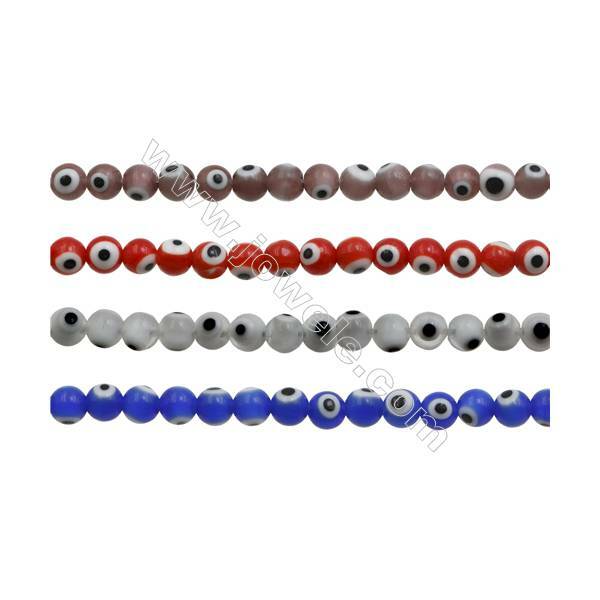 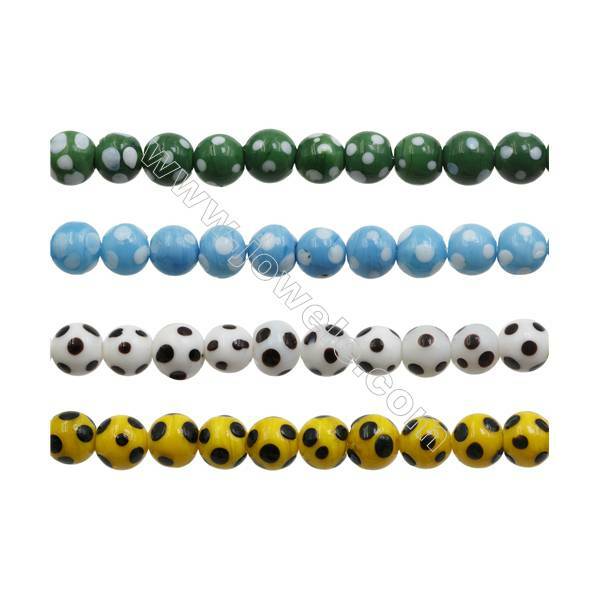 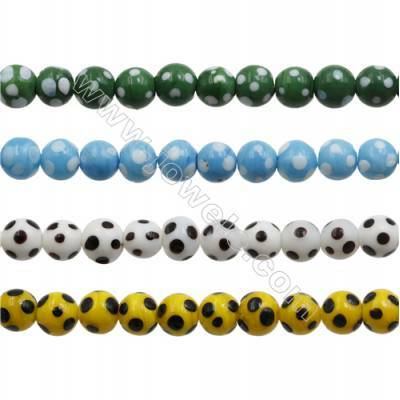 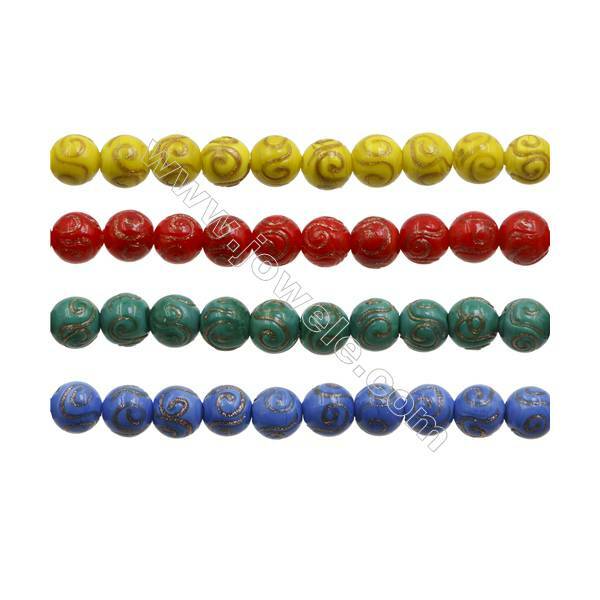 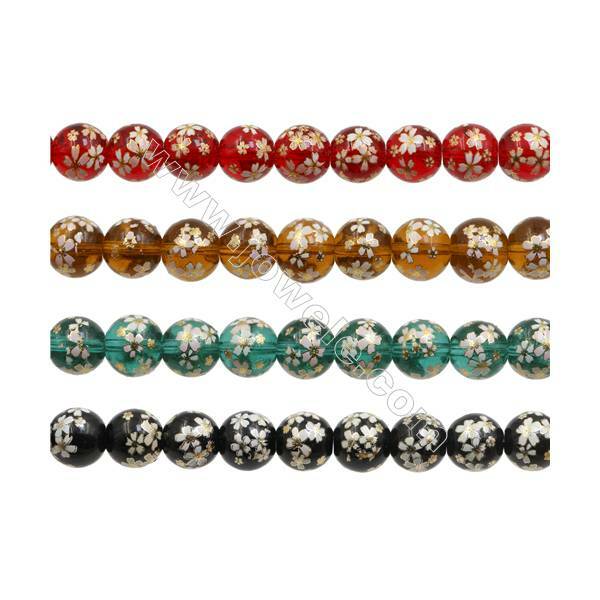 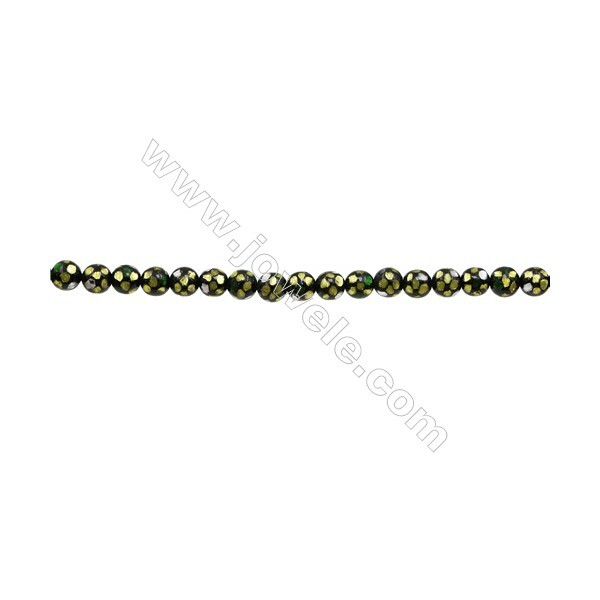 Handmade Lampwork Beads, Round with spot, Mixed Color, 12mm, Hole: 1.8mm, about 33 beads/strand, 15~16"
Handmade Lampwork Beads, Round, with evil eye, Mixed Color, 8mm, Hole: 1mm, about 48 beads/strand, 15~16"
Handmade Lampwork Beads, Round, with Evil Eye, Mixed Color, 6mm, Hole: 1mm, about 64 beads/strand, 15~16"
Handmade Lampwork Beads, Mushroom, Mixed Color, 10x14mm, Hole: 1-2mm, about 28 beads/strand, 15~16"
Handmade Lampwork Beads, Oval, Mixed Color, 12x42mm, Hole: 1.5-2mm, about 10 beads/strand, 15~16"
Handmade Lampwork Beads, Oval, Mixed Color, 12x34mm, Hole: 2mm, about 12 beads/strand, 15~16"
Handmade Lampwork Beads, Oval with evil eyes, 12x34mm, Hole: 1.5-2mm, about 12 beads/strand, 15~16"
Handmade Lampwork Beads, Faceted Abacus, Mixed Color, 6x8mm, Hole: 1.5mm, about 66 beads/strand, 15~16"
Handmade Lampwork Beads, Faceted Abacus, Mixed Color, 8x10mm, Hole: 1.5mm, about 50 beads/strand, 15~16"
Lampwork Beads, Faceted Abacus, Mixed Color, 9x12mm, Hole: 1.5-2mm, about 44 beads/strand, 15~16"
12mm Handmade Lampwork Strand Beads Round Hole: 1.5mm 35 beads/strand 15~16"
12mm Handmade Lampwork Strand Beads Round Hole: 1.5mm 33 beads/strand 15~16"
10mm Handmade Lampwork Strand Beads Round Hole: 1mm 42 beads/strand 15~16"
12mm Handmade Lampwork Strand Beads Round Hole: 1.5mm 36 beads/strand 15~16"
10mm Handmade Lampwork Strand Beads Round Hole: 1.5-2mm 40 beads/strand 15~16"
10mm Handmade Lampwork Strand Beads Round Hole: 1.5mm 40 beads/strand 15~16"
8mm Handmade Lampwork Strand Beads Round Hole: 1.5mm 40 beads/strand 15~16"
12mm Handmade Lampwork Strand Beads Round Hole: 2mm 33 beads/strand 15~16"
12mm Handmade Lampwork Strand Beads Round Hole: 1.5-2mm 33 beads/strand 15~16"
14mm Handmade Lampwork Strand Beads Round Hole: 1.5-2mm 28 beads/strand 15~16"
8mm Handmade Lampwork Strand Beads Round Hole: 1.5mm 48 beads/strand 15~16"
8mm Handmade Lampwork Strand Beads Round Hole: 1.5mm 50 beads/strand 15~16"
9x20mm Handmade Lampwork Strand Beads Oval Hole: 1.5mm 20 beads/strand 15~16"
11x16mm Handmade Lampwork Strand Beads Oval Hole: 1.5mm 16 beads/strand 15~16"
9x11mm Handmade Lampwork Strand Beads Oval Hole: 1.5-2mm 35 beads/strand 15~16"
8x16mm Handmade Lampwork Strand Beads Column Hole: 1.5-2mm 25 beads/strand 15~16"
10x36mm Handmade Lampwork Strand Beads Tube Hole: 2mm 11 beads/strand 15~16"
16x20mm Handmade Lampwork Strand Beads Pumpkin Hole: 1.5mm 20 beads/strand 15~16"
12mm Handmade Lampwork Strand Beads Round Hole: 1mm 36 beads/strand 15~16"
Handmade Lampwork Strand Beads, Round, 10mm, Hole: 1.5mm, 40 beads/strand, 15~16"
9x12mm Handmade Lampwork Strand Beads Faceted Abacus Hole: 1.5mm 42 beads/strand 15~16"
7x10mm Handmade Lampwork Strand Beads Faceted Abacus Hole: 1.5mm 53 beads/strand 15~16"
6x8mm Handmade Lampwork Strand Beads Faceted Abacus Hole: 1.5mm 66 beads/strand 15~16"
6mm Handmade Lampwork Strand Beads Round Hole: 1.5mm 66 beads/strand 15~16"
16mm Handmade Lampwork Strand Beads Round Hole: 2mm 25 beads/strand 15~16"
9x12mm Handmade Lampwork Strand Beads Oval Hole: 1.5-2mm 33 beads/strand 15~16"